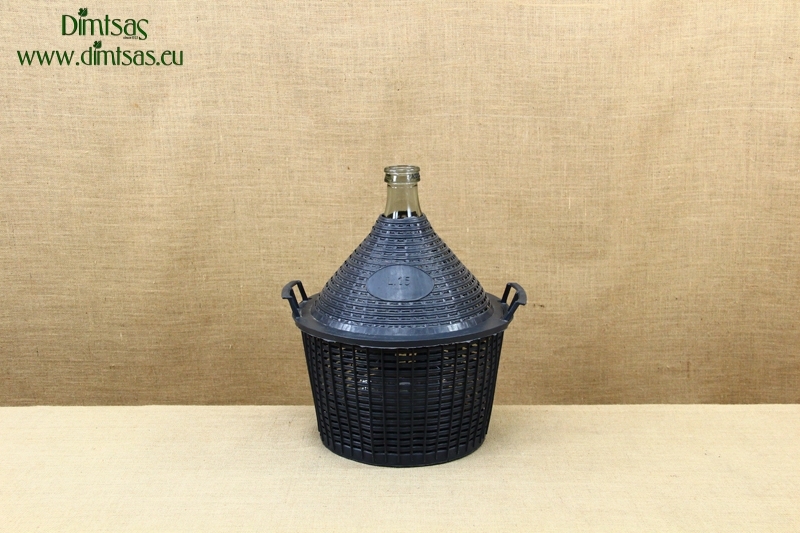 VP0007, Demijohn 54 Liters, Glass Bottle with Narrow Neck, Protective Plastic Basket, Sturdy, Handy & Easy Carrying, Suitable for Contact with Food, Perfect to Store Liquids, Great for Wine, Olive Oil, Water, Vinegar, Alcohol and other Beverages. 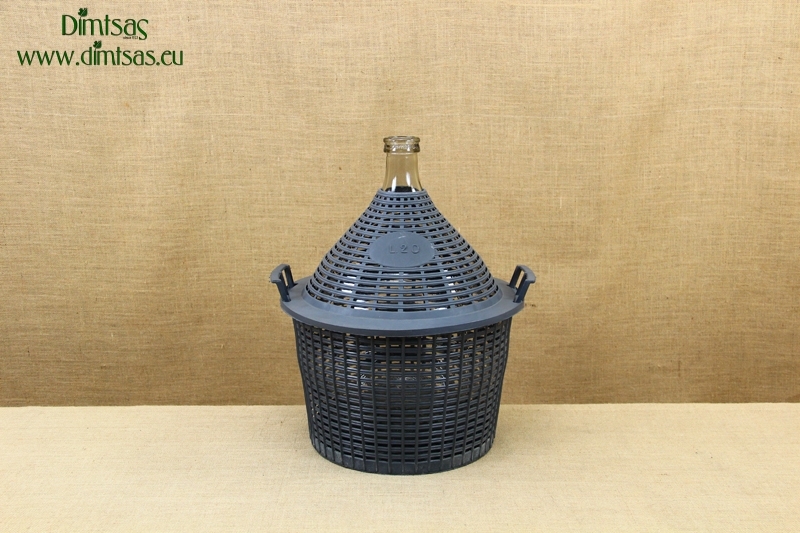 VP0006, Demijohn 34 Liters, Glass Bottle with Narrow Neck, Protective Plastic Basket, Sturdy, Handy & Easy Carrying, Suitable for Contact with Food, Perfect to Store Liquids, Great for Wine, Olive Oil, Water, Vinegar, Alcohol and other Beverages. 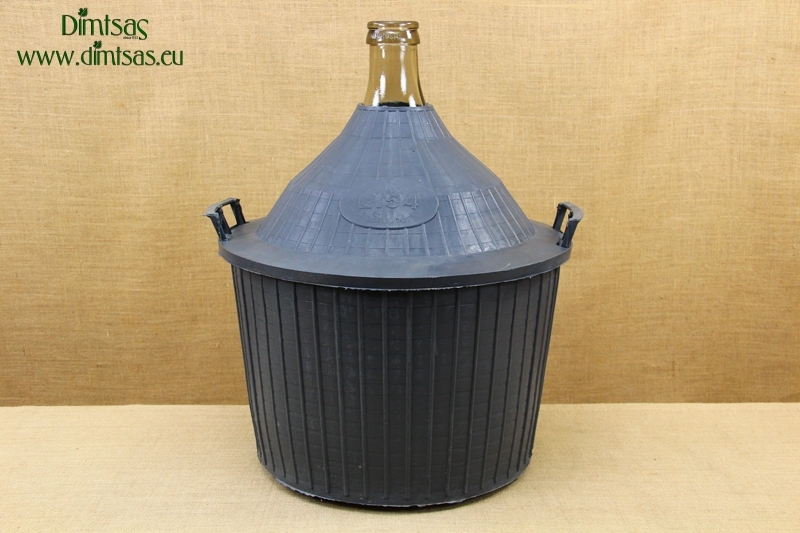 VP0005, Demijohn 25 Liters, Glass Bottle with Narrow Neck, Protective Plastic Basket, Sturdy, Handy & Easy Carrying, Suitable for Contact with Food, Perfect to Store Liquids, Great for Wine, Olive Oil, Water, Vinegar, Alcohol and other Beverages. 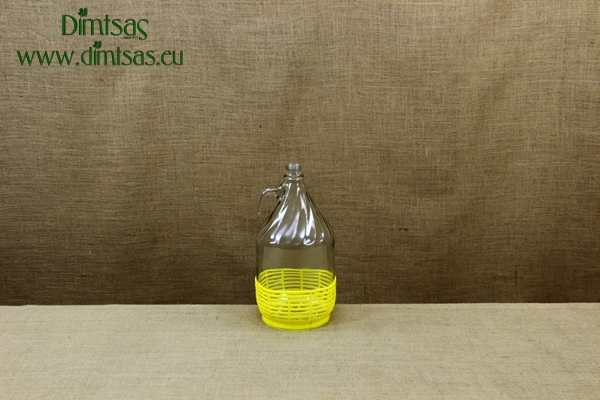 VP0004, Demijohn 20 Liters, Glass Bottle with Narrow Neck, Protective Plastic Basket, Sturdy, Handy & Easy Carrying, Suitable for Contact with Food, Perfect to Store Liquids, Great for Wine, Olive Oil, Water, Vinegar, Alcohol and other Beverages. 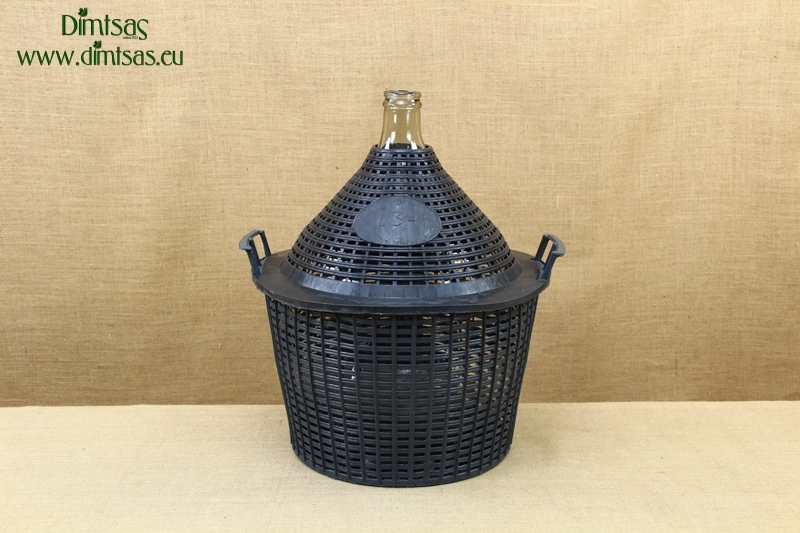 VP0003, Demijohn 15 Liters, Glass Bottle with Narrow Neck, Protective Plastic Basket, Sturdy, Handy & Easy Carrying, Suitable for Contact with Food, Perfect to Store Liquids, Great for Wine, Olive Oil, Water, Vinegar, Alcohol and other Beverages. 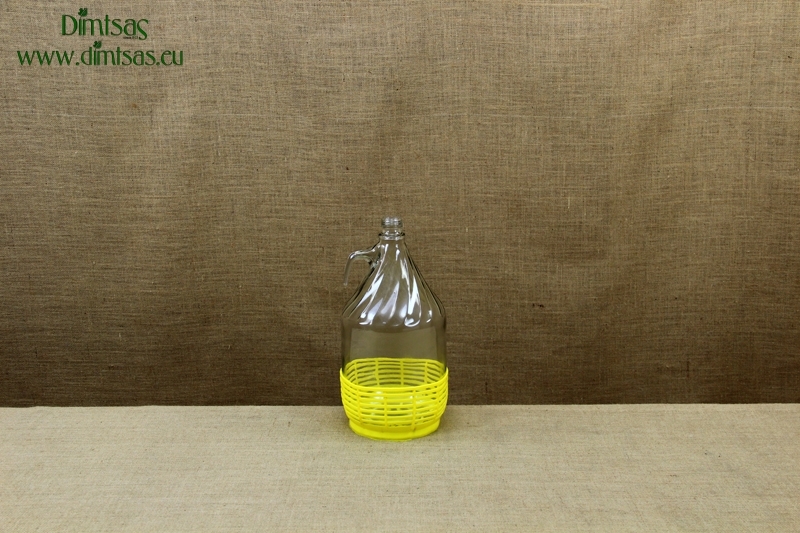 VP0002, Demijohn 5 Liters, Glass Bottle with Narrow Neck, Protective Plastic Basket, Sturdy, Handy & Easy Carrying, Suitable for Contact with Food, Perfect to Store Liquids, Great for Wine, Olive Oil, Water, Vinegar, Alcohol and other Beverages. 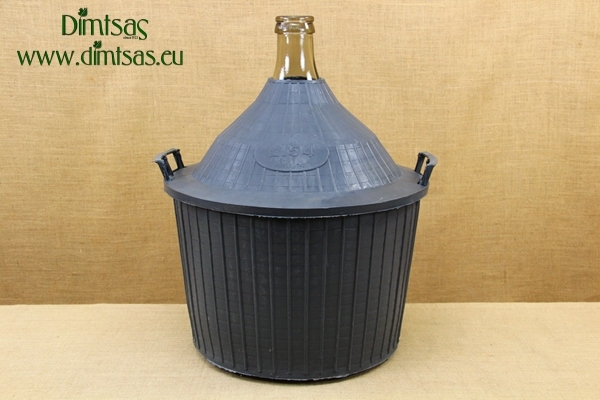 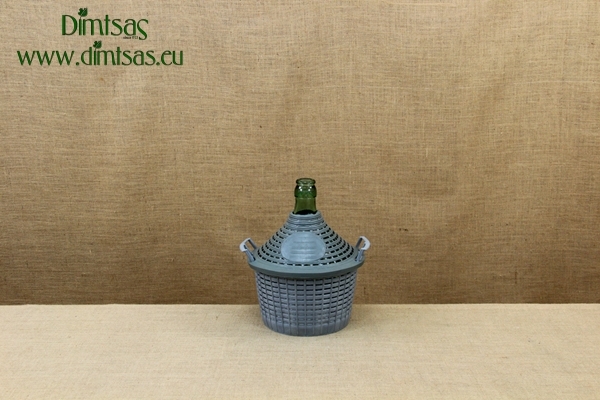 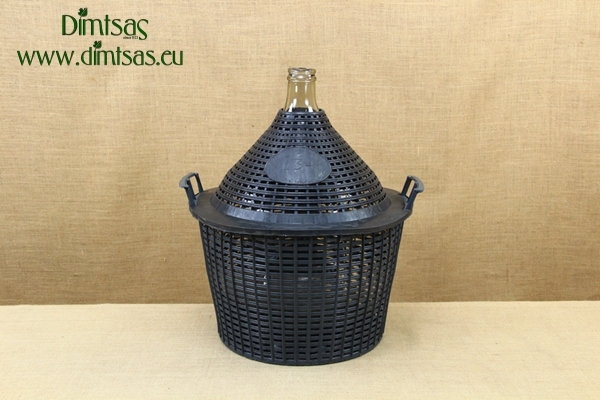 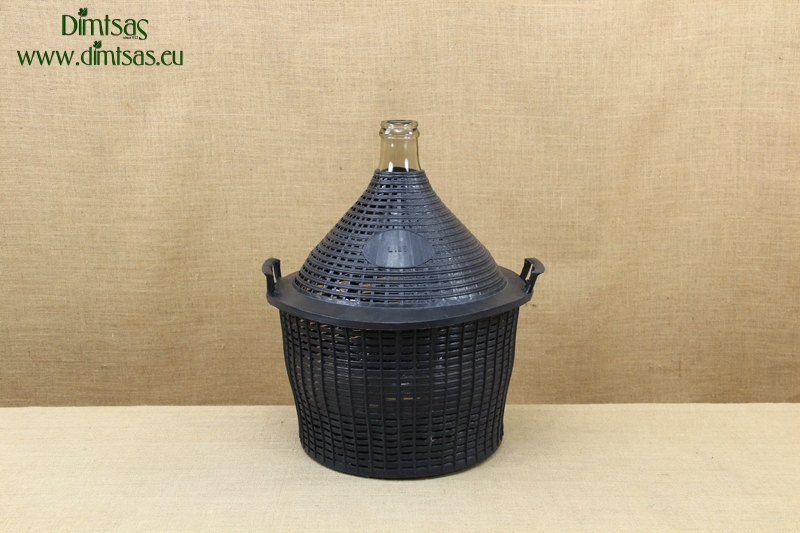 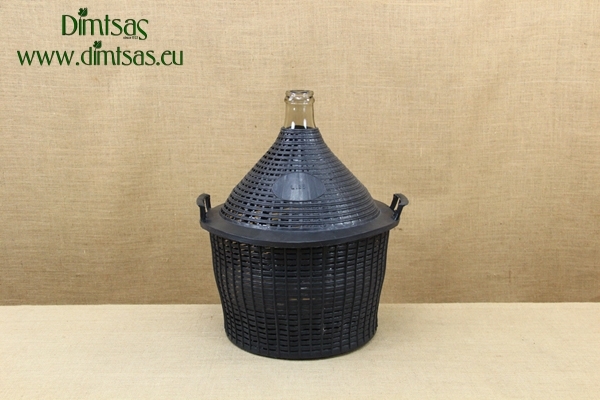 VP0001, Demijohn with Basket 5 Liters, Glass Bottle, Protective Plastic Basket, Sturdy, Handy & Easy Carrying, Suitable for Contact with Food, Perfect to Store Liquids, Great for Wine, Olive Oil, Water, Vinegar, Alcohol and other Beverages. TM0012, Stainless Steel Meat Mincer TSM No32, Manual, Meat Grinder No32, Made of Stainless Steel, Suitable for Contact with Food, Perfect for Minced Meat, With Extra Accessories Great for Filling Sausages and Salami Casings. 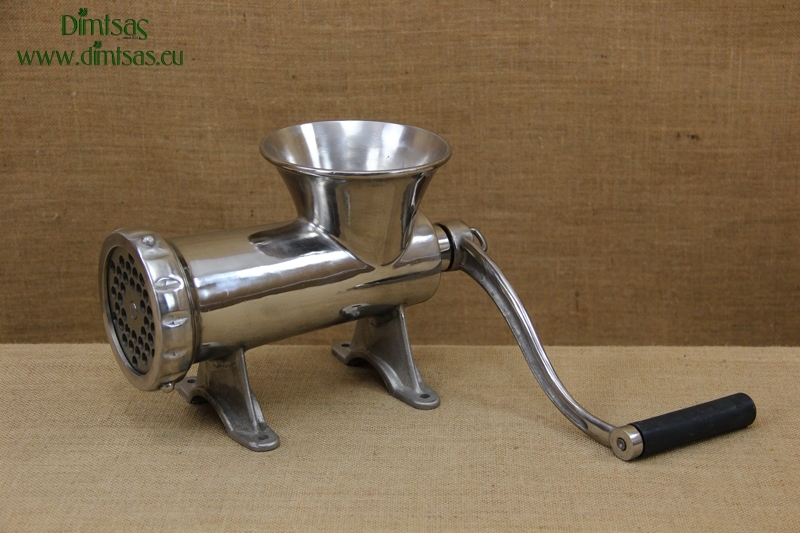 TM0011, Stainless Steel Meat Mincer TSM No22, Manual, Meat Grinder No22, Made of Stainless Steel, Suitable for Contact with Food, Perfect for Minced Meat, With Extra Accessories Great for Filling Sausages and Salami Casings. 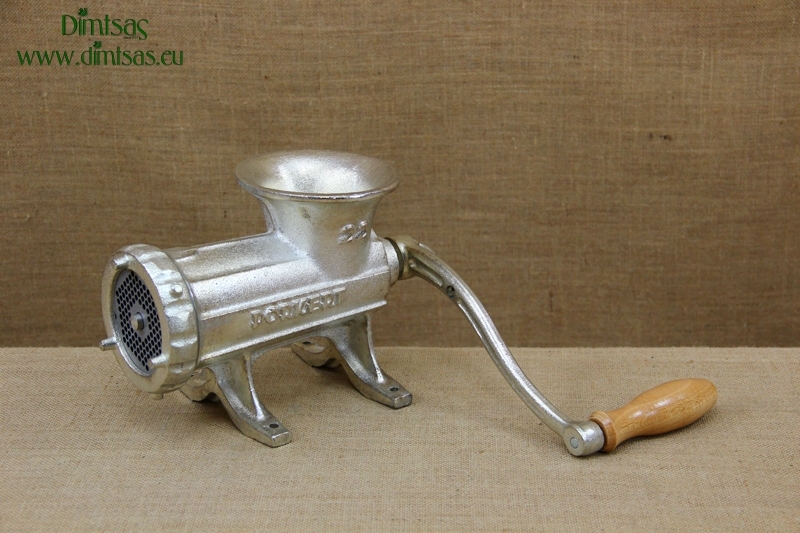 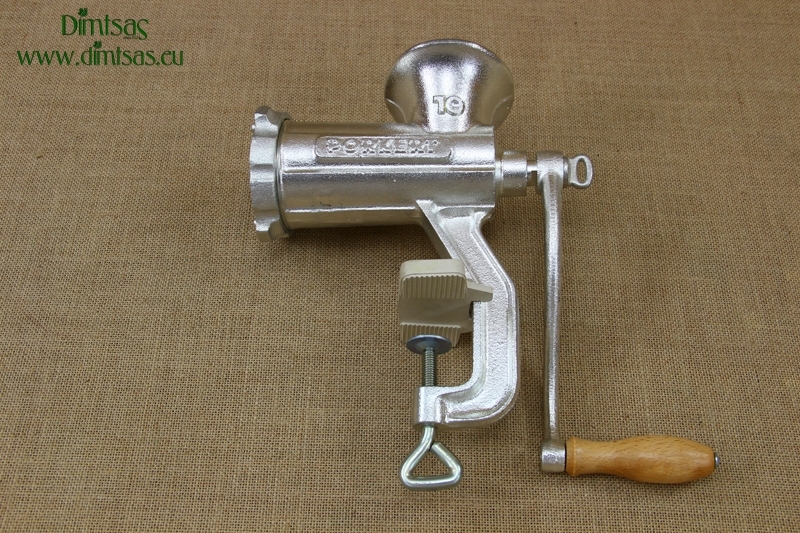 PE0005, Cast Iron Meat Mincer Porkert No32, Manual, Made of Tinned Cast Iron, Meat Grinder No32, Suitable for Contact with Food, Perfect for Mince Meat, Sausages, Salami Casings or Patties. 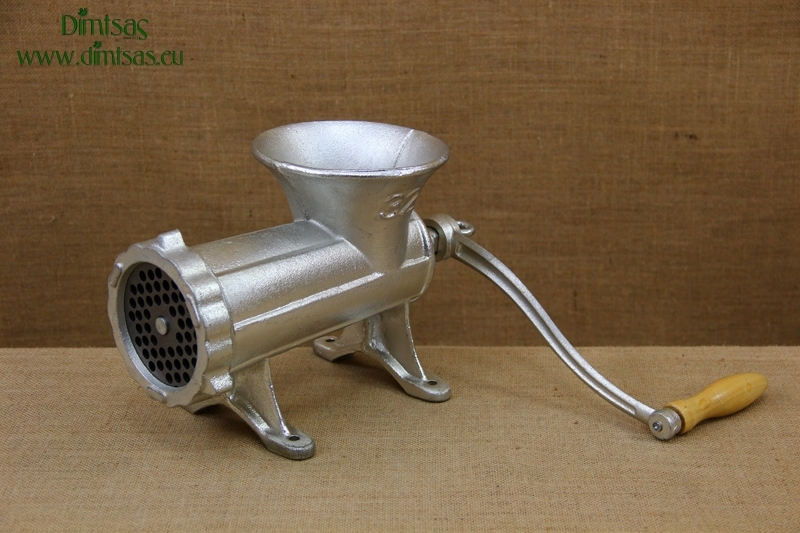 PE0004, Cast Iron Meat Mincer Porkert No22, Manual, Made of Tinned Cast Iron, Meat Grinder No22, Suitable for Contact with Food, Perfect for Mince Meat, Sausages, Salami Casings or Patties. PE0003, Cast Iron Meat Mincer Porkert No10, Manual, Meat Grinder No10, Made of Cast Iron, Suitable for Contact with Food, Perfect for Mince Meat, Sausages, Salami Casings or Cookies. 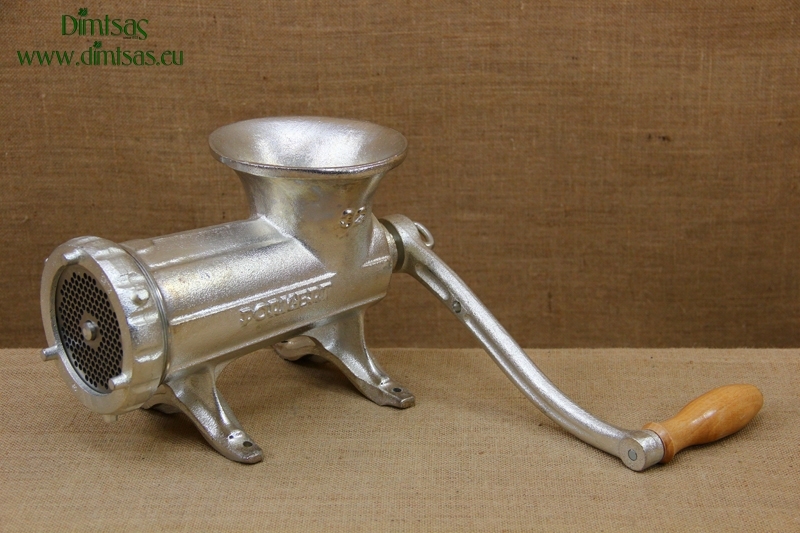 PE0002, Cast Iron Meat Mincer Porkert No8, Manual, Made of Tinned Cast Iron, Meat Grinder No10, Suitable for Contact with Food, Perfect for Mince Meat, Sausages, Salami Casings, Patties or Cookies. PE0001, Cast Iron Meat Mincer Porkert No5, Manual, Meat Grinder No10, Made of Cast Iron, Suitable for Contact with Food, Perfect for Mince Meat, Sausages, Salami Casings, Patties or Cookies. 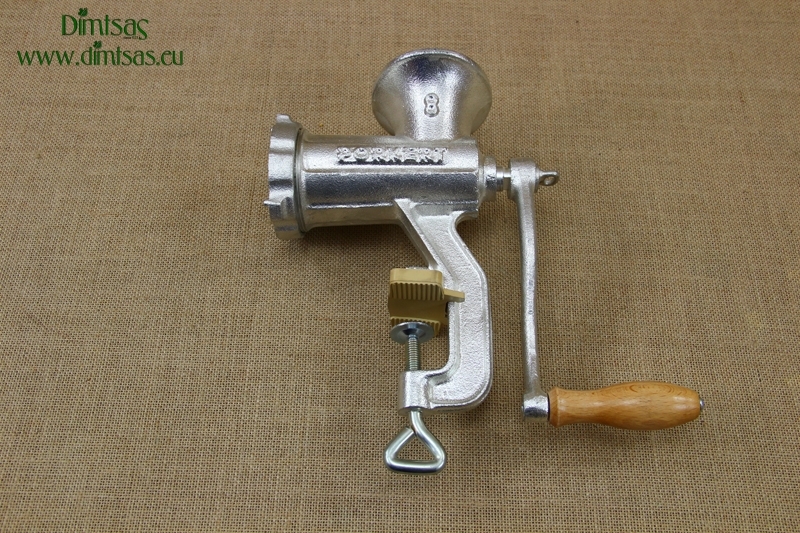 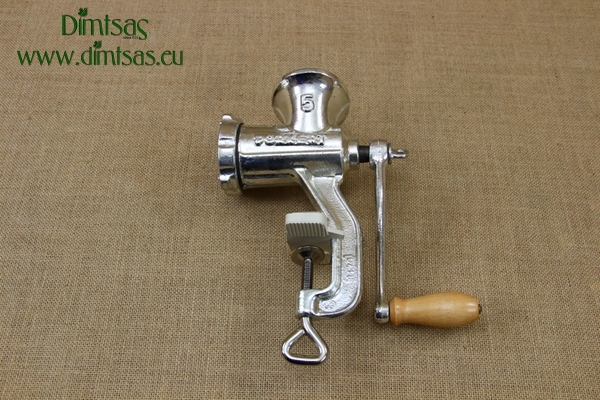 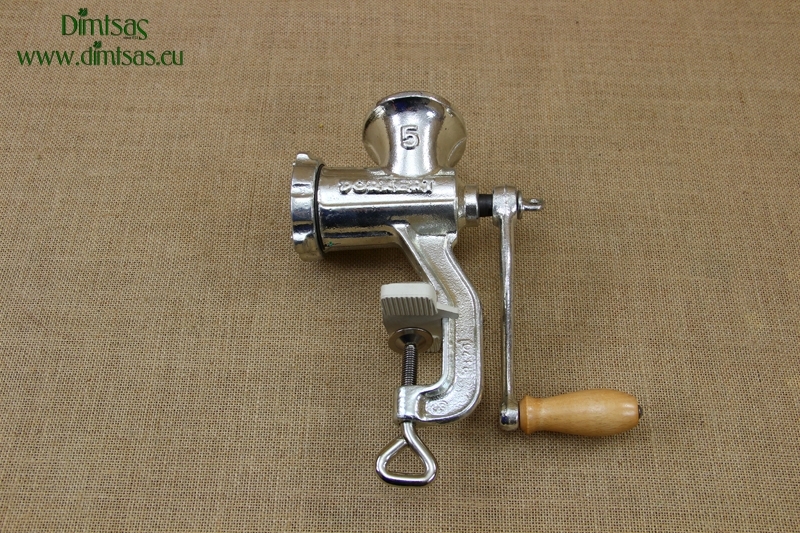 ZX0034, Cast Iron Meat Mincer Ilsa No32, Manual, Meat Grinder No32, Made of Cast Iron, Suitable for Contact with Food, Perfect for Mince Meat, Sausages or Salami Casings. 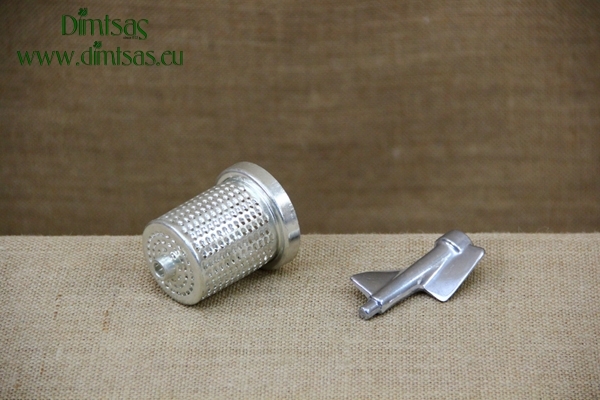 FM0064, Cheese Grater Attachment for Meat Mincer No8, Perfect for Meat Mincers & Meat Grinders No8: Electric or Manual, Suitable for Contact with Food, Perfect to Grate Cheeses, Nuts, Bread Crumbs or Vegetables. 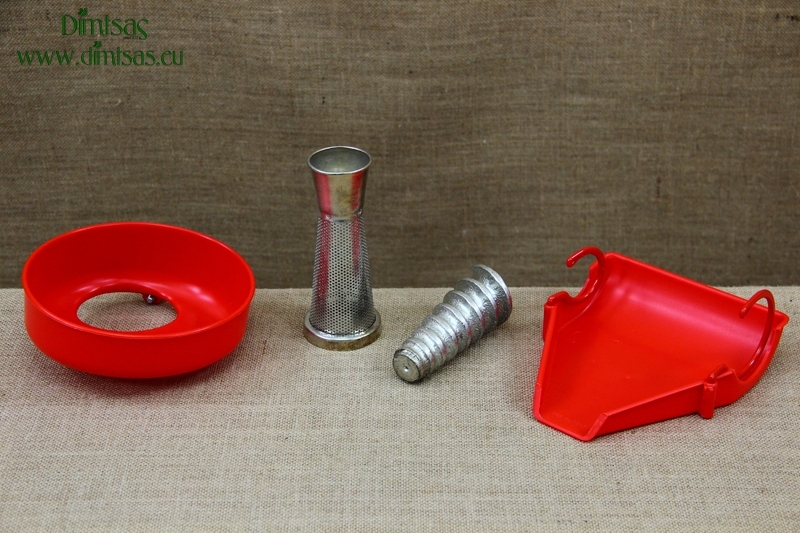 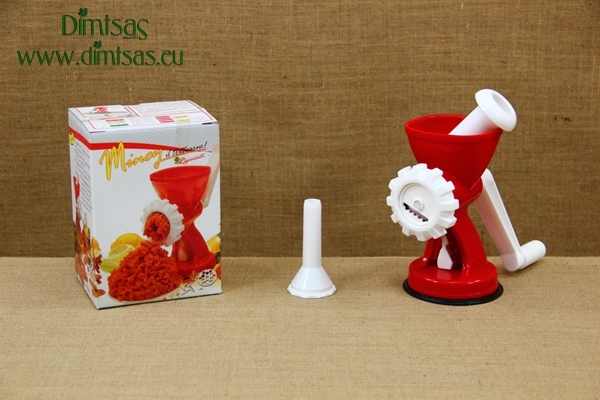 FM0063, Tomato Squeezer Attachment for Meat Mincer No8, Perfect for Meat Mincers & Meat Grinders No8: Electric or Manual, Suitable for Contact with Food, Perfect to Make Tomato Sauce. 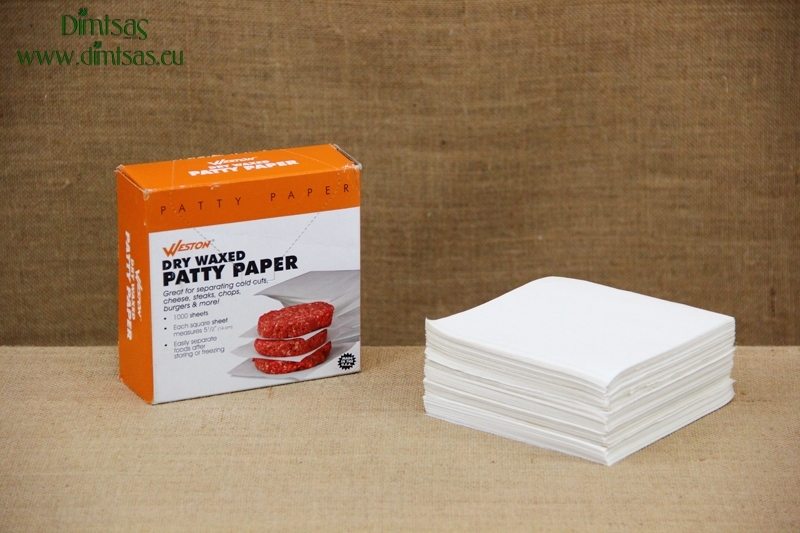 TM0010, Dry Waxed Patty Paper, Dry Waxed Paper, 1000 Sheets, Square, 14x14 cm, Suitable for Contact with Food, Easily Separate Foods after Storing or Freezing, Great for Separating Cold Cuts, Cheese, Steaks, Chops, Burgers & More. 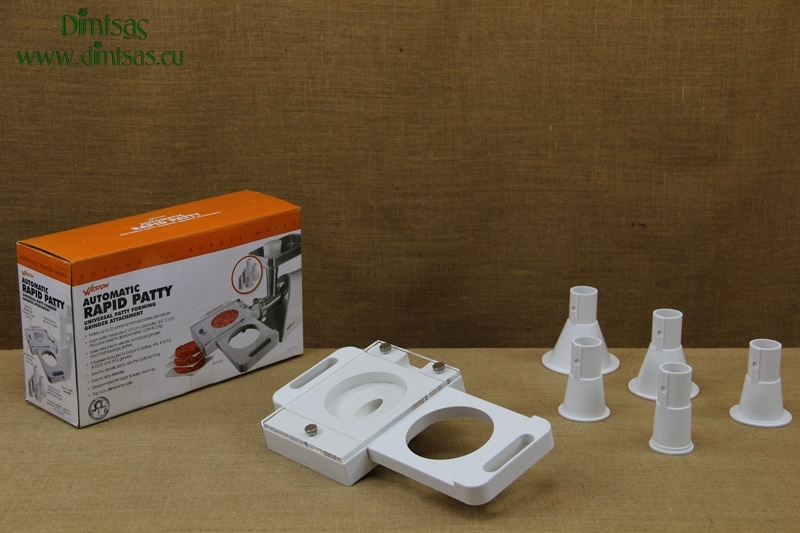 TM0009, Automatic Rapid Patty Maker, Plastic, 5 Funnels, 2 Patty Chambers, Makes 20 Patties / Minute, Perfect for Meat Mincers & Meat Grinders: Electric or Manual, Ideal for Sausage Fillers or Sausage Stuffers, Suitable for Contact with Food. FM0058, Sausage Filling Star for Meat Mincer No22, Metallic, Worm Stabilizer, Fits to All Meat Mincers No22: Electric or Manual, Suitable for Contact with Food. 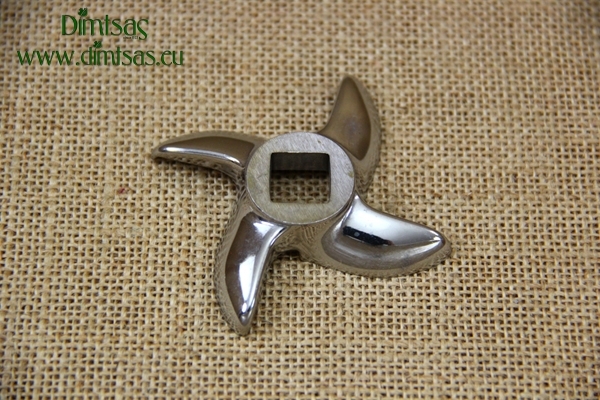 FM0056, Sausage Filling Star for Meat Mincer No8, Metallic, Worm Stabilizer, Fits to All Meat Mincers No8: Electric or Manual, Suitable for Contact with Food. 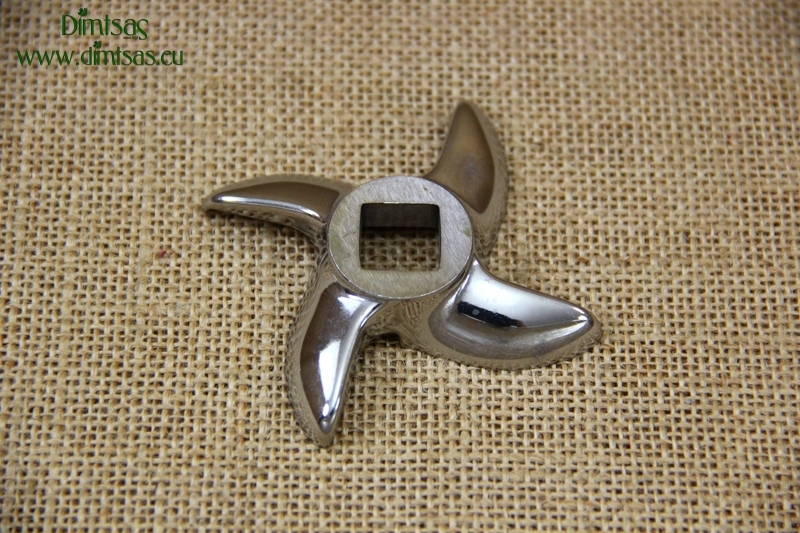 FM0057, Sausage Filling Star for Meat Mincer No10/12, Metallic, Worm Stabilizer, Fits to All Meat Mincers No10/12: Electric or Manual, Suitable for Contact with Food. 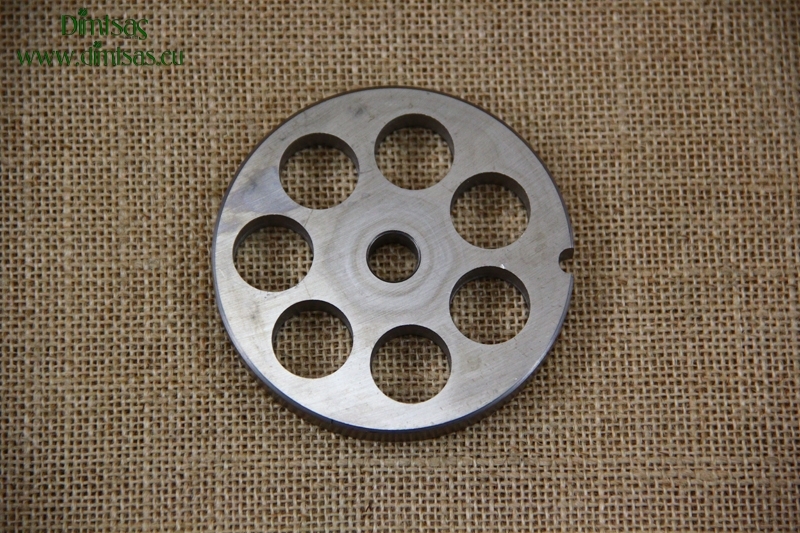 FM0055, Metallic Sausage Filling Plate for Meat Mincer No22, Metallic, Worm Stabilizer, Fits to All Meat Mincers No22: Electric or Manual, Suitable for Contact with Food. FM0054, Sausage Filling Plate for Meat Mincer No32, Made of Plastic, Worm Stabilizer, Fits to All Meat Mincers No32: Electric or Manual, Suitable for Contact with Food. 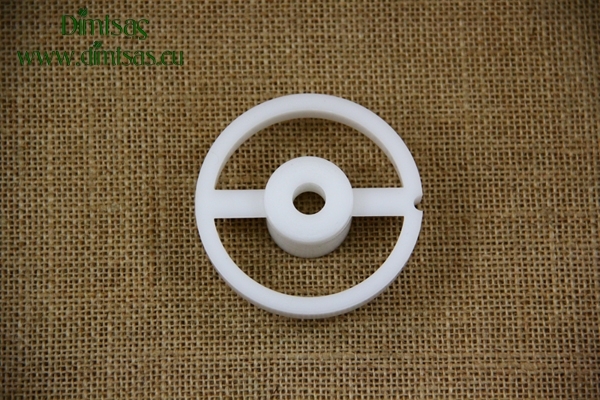 FM0053, Sausage Filling Plate for Meat Mincer No22, Made of Plastic, Worm Stabilizer, Fits to All Meat Mincers No22: Electric or Manual, Suitable for Contact with Food. 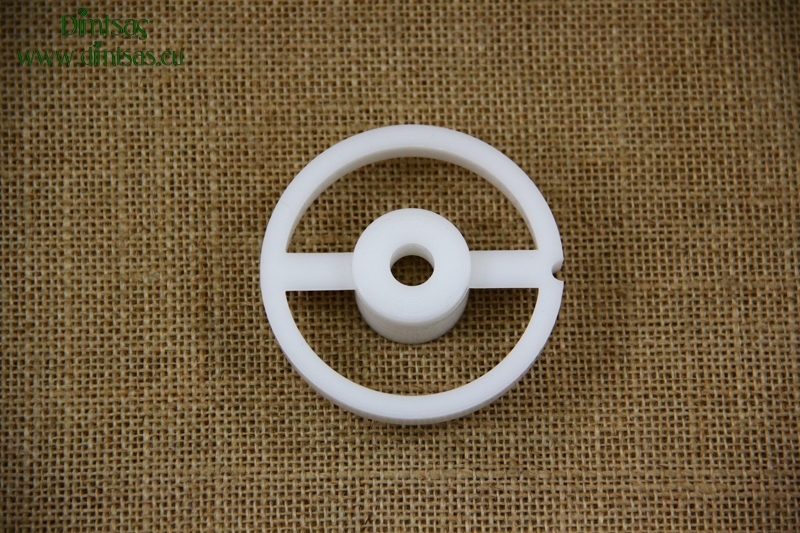 FM0052, Sausage Filling Plate for Meat Mincer No10/12, Made of Plastic, Worm Stabilizer, Fits to All Meat Mincers No10/12: Electric or Manual, Suitable for Contact with Food. 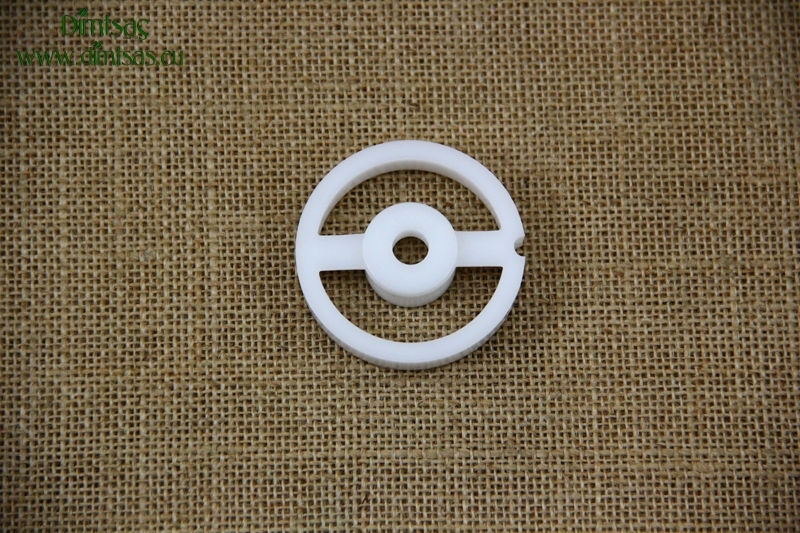 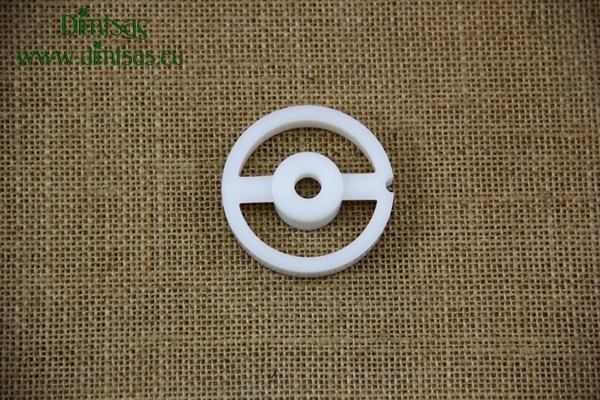 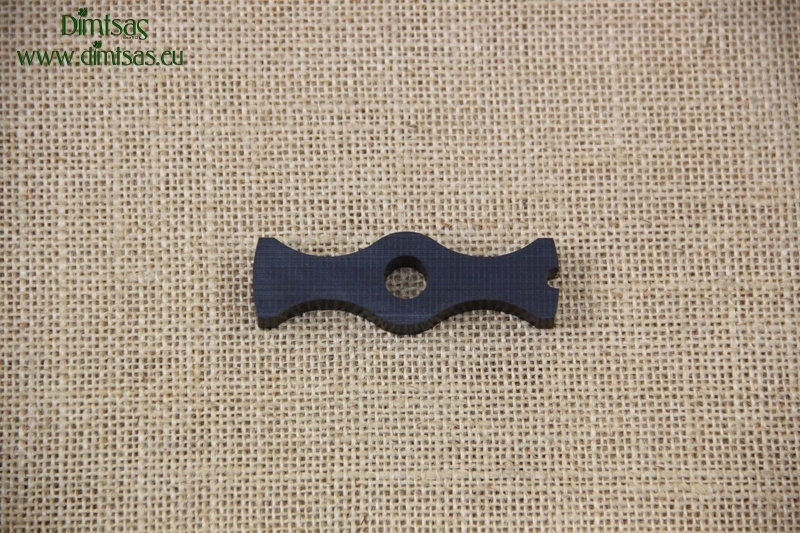 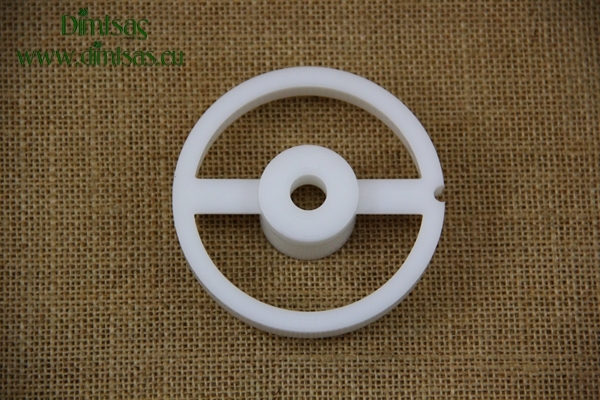 MI0002, Plastic Spacer Plate for Meat Mincer No8, Made of Plastic, Worm Stabilizer, 2 Holes, Fits to All Meat Mincers No8: Electric or Manual, Suitable for Contact with Food. 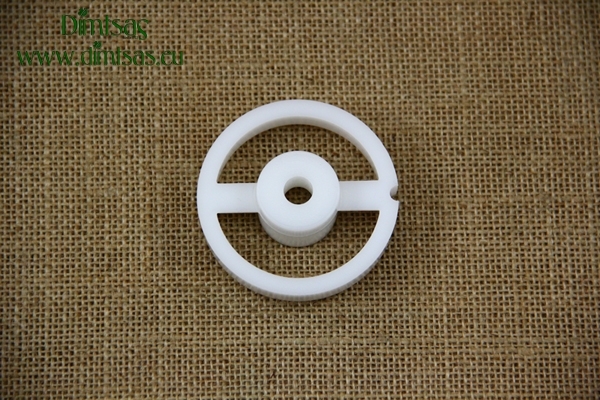 MI0001, Plastic Spacer Plate for Meat Mincer No5, Made of Plastic, Worm Stabilizer, 2 Holes, Fits to All Meat Mincers No5: Electric or Manual, Suitable for Contact with Food. 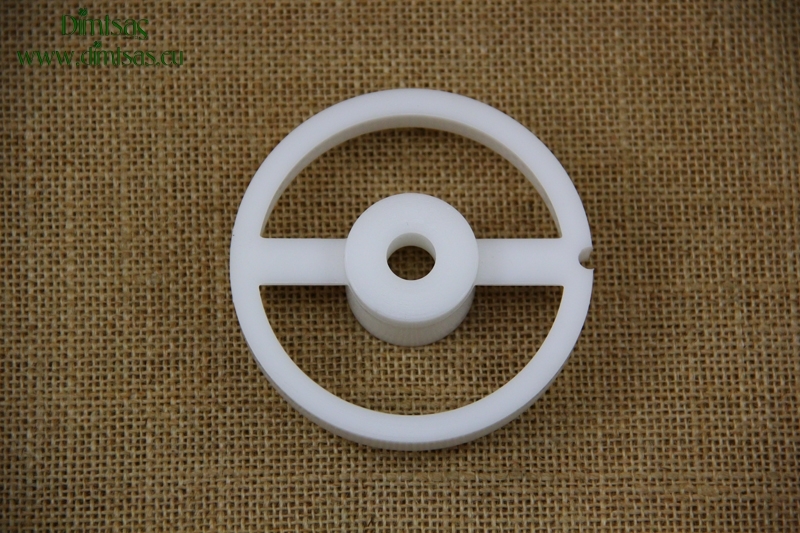 MI0004, Plastic Spacer Plate for Meat Mincer No22, Made of Plastic, Worm Stabilizer, 2 Holes, Fits to All Meat Mincers No22: Electric or Manual, Suitable for Contact with Food. 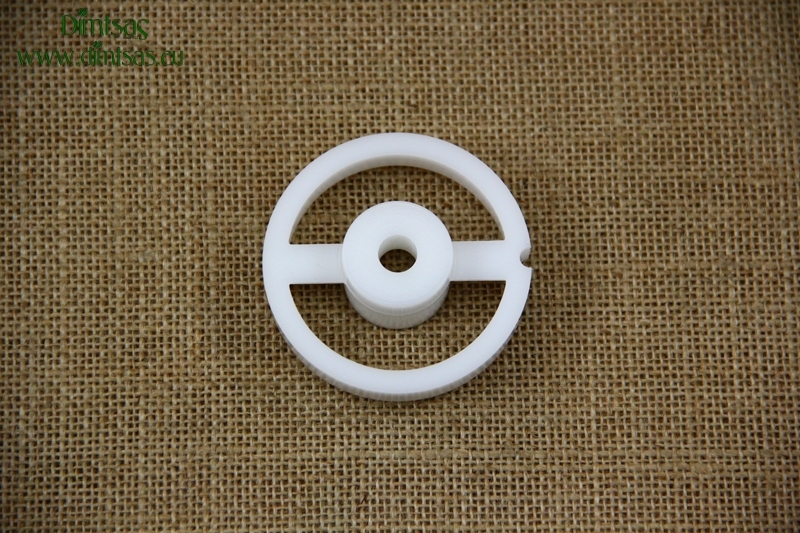 MI0003, Plastic Spacer Plate for Meat Mincer No10/12, Made of Plastic, Worm Stabilizer, 2 Holes, Fits to All Meat Mincers No10/12: Electric or Manual, Suitable for Contact with Food. 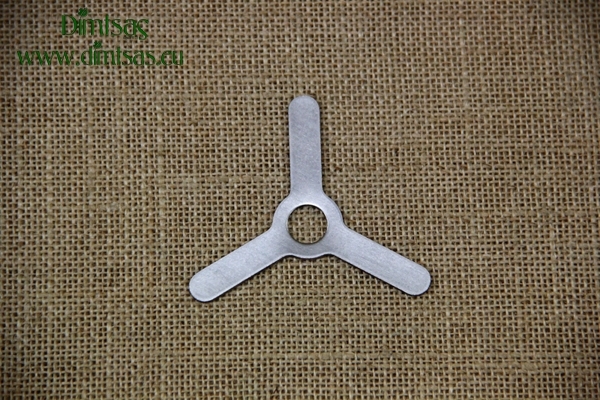 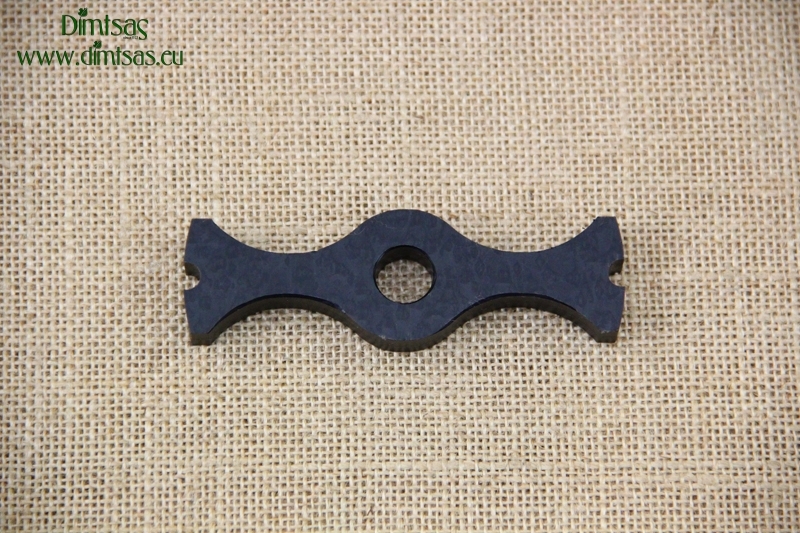 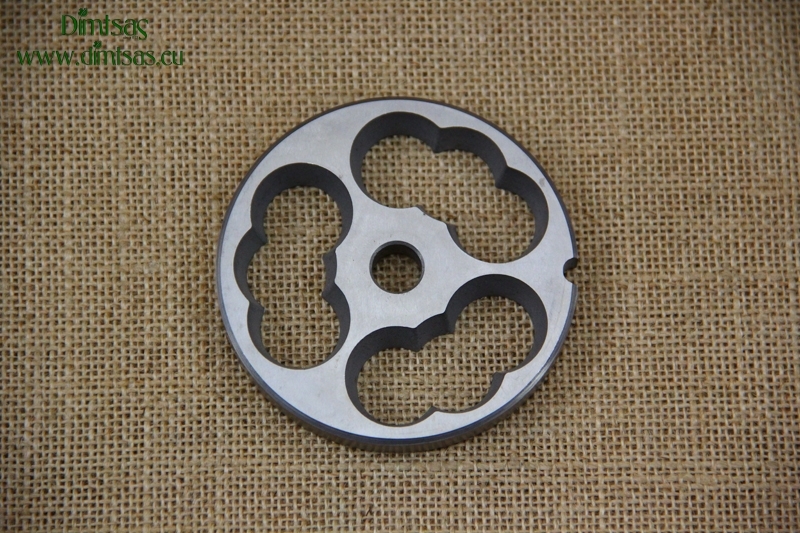 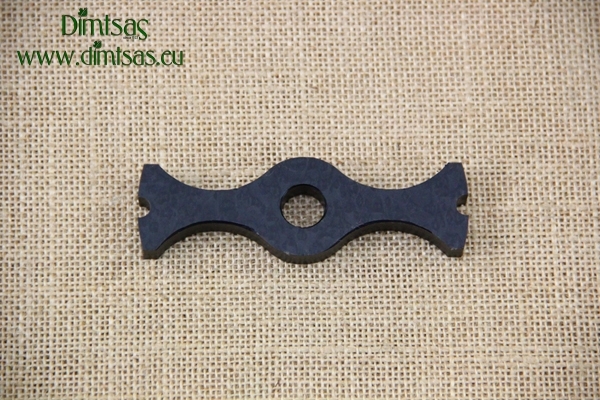 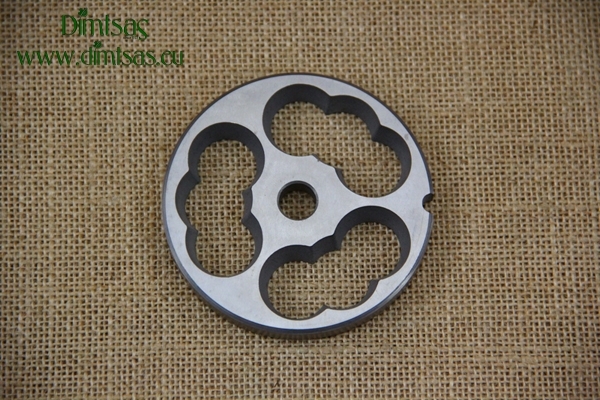 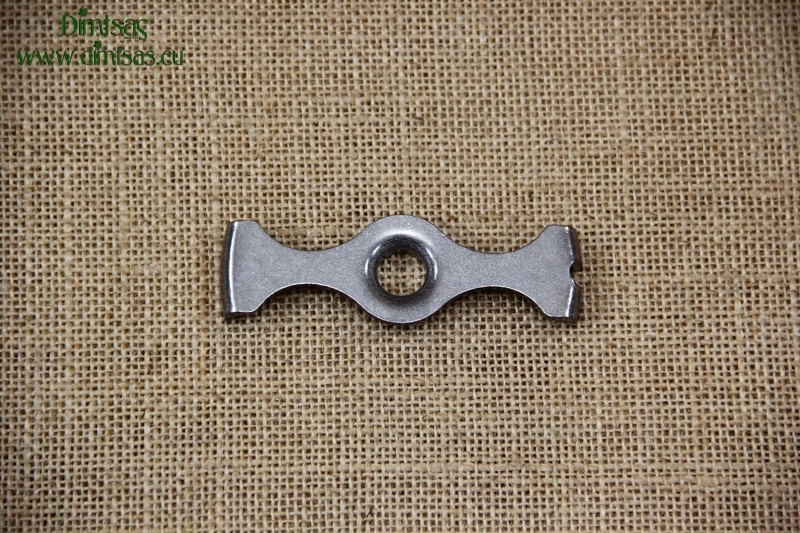 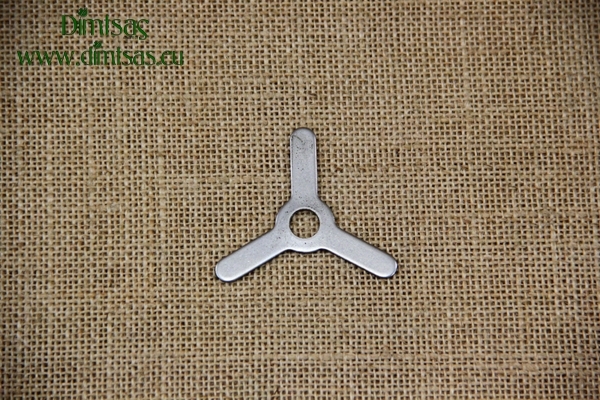 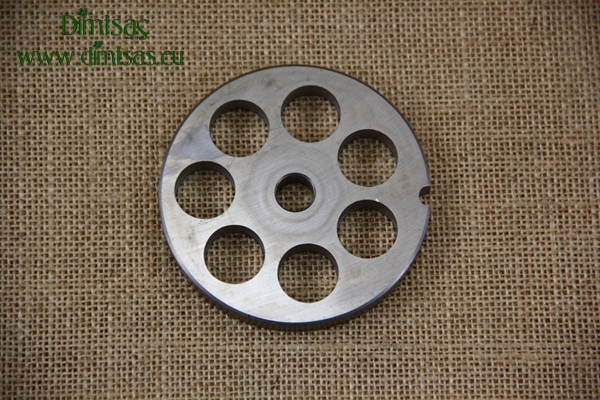 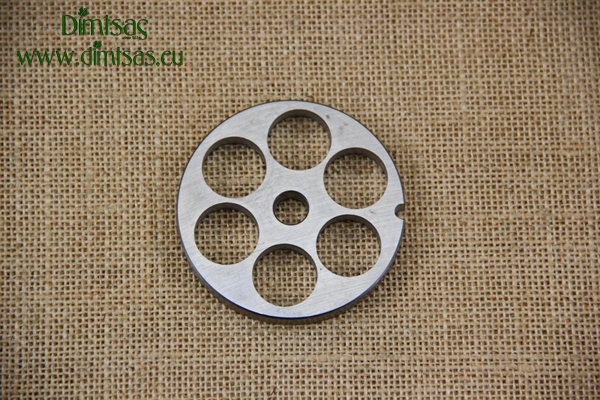 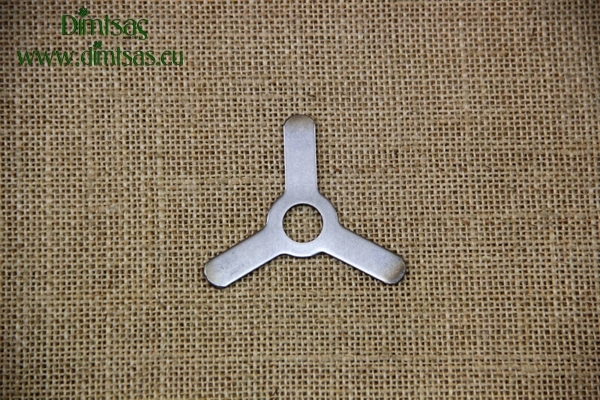 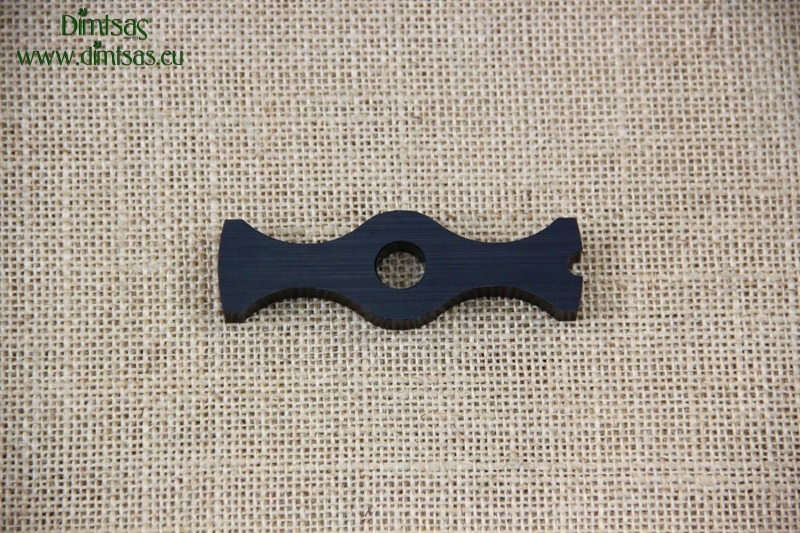 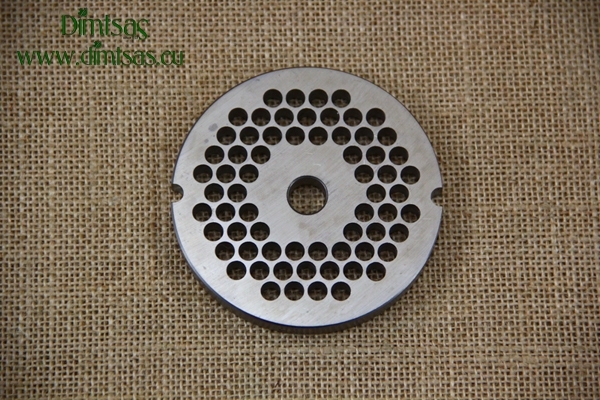 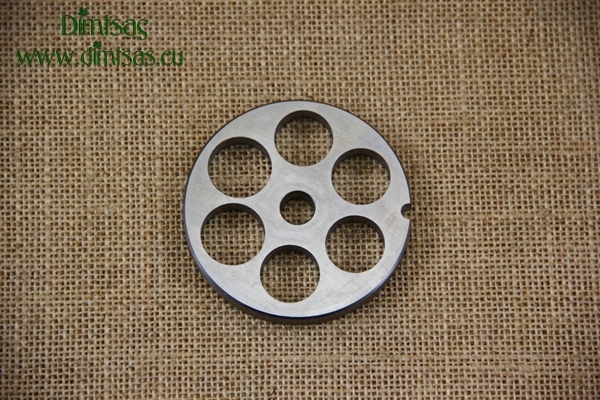 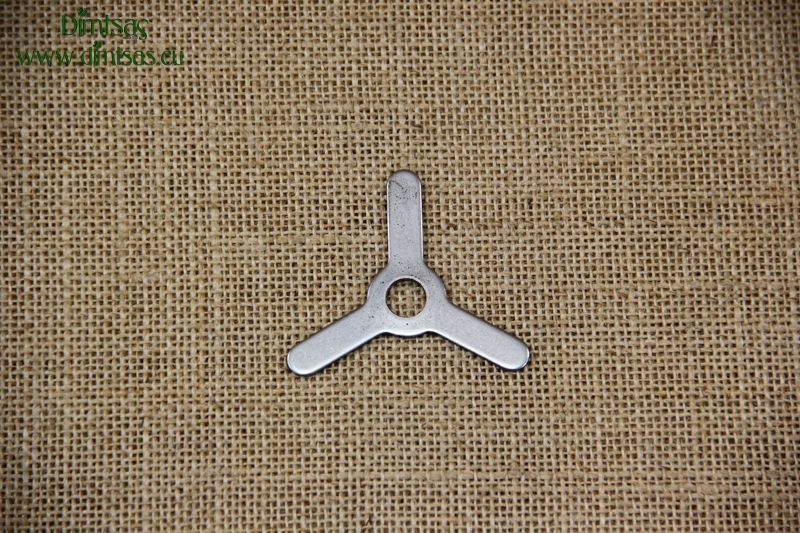 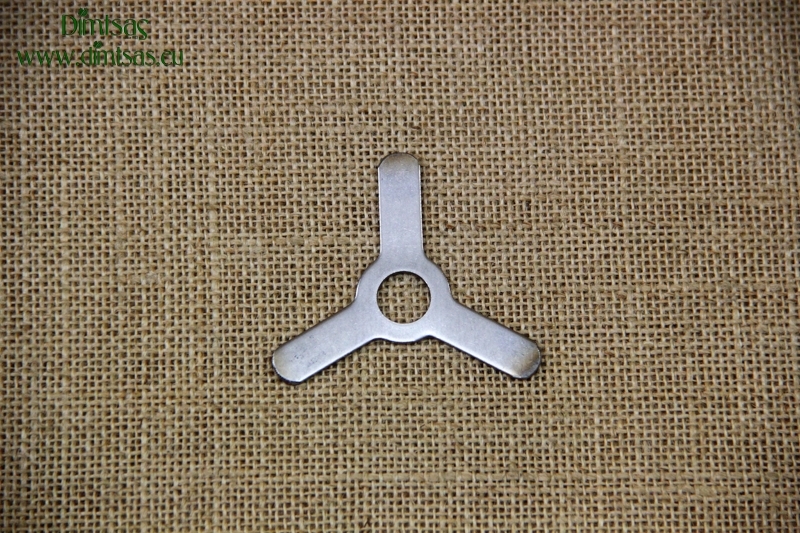 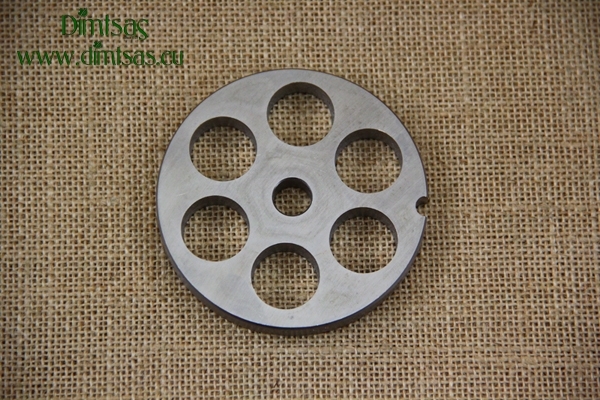 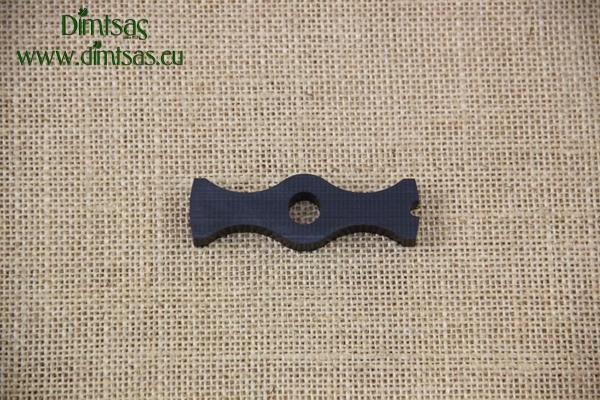 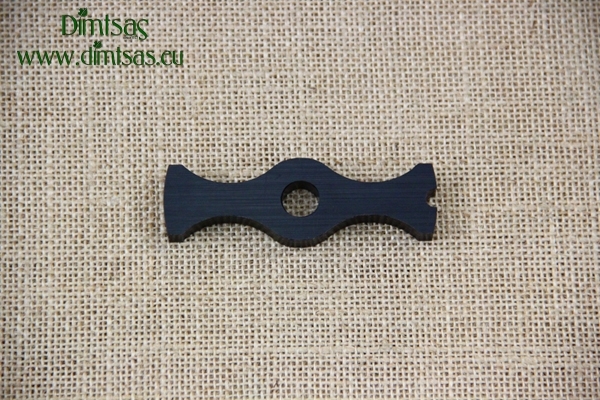 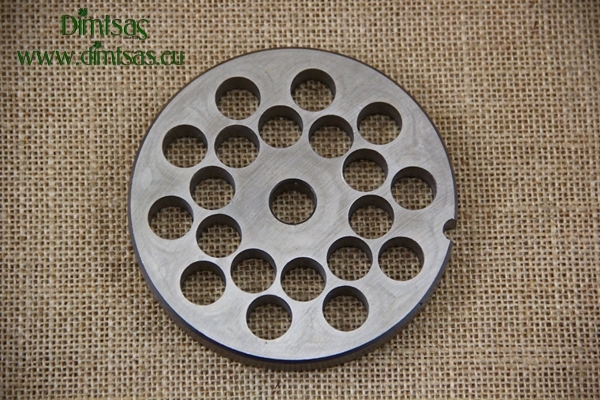 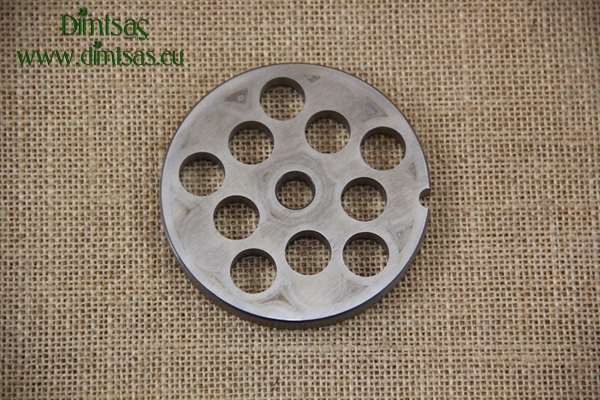 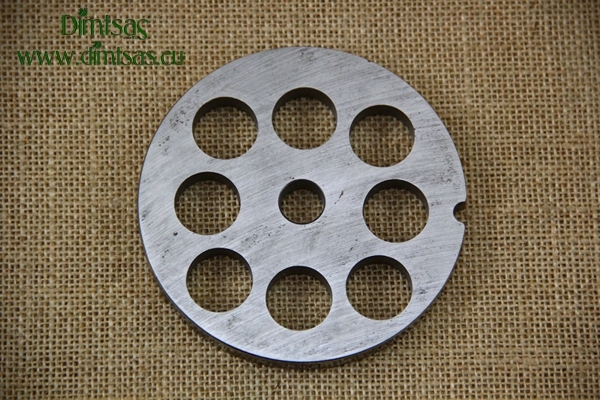 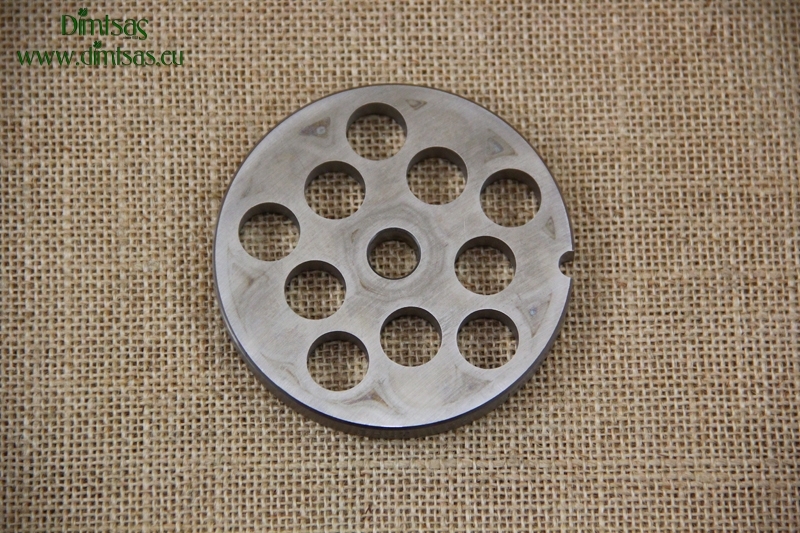 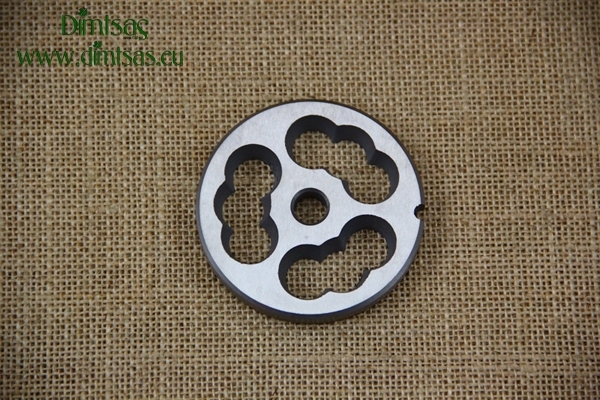 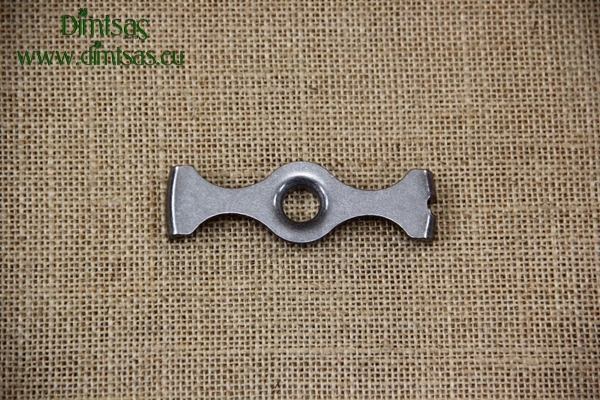 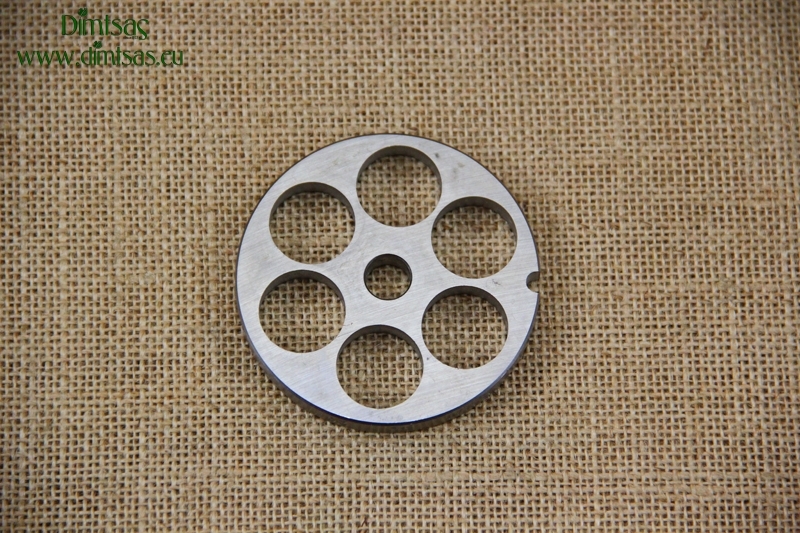 ΤΜ0007, Stainless Steel Spacer Plate for Meat Mincer No32, Made of Stainless Steel, Highly Resistant to Rust & Food Acids, Worm Stabilizer, 2 Holes, Fits to All Meat Mincers No32: Electric or Manual, Suitable for Contact with Food. 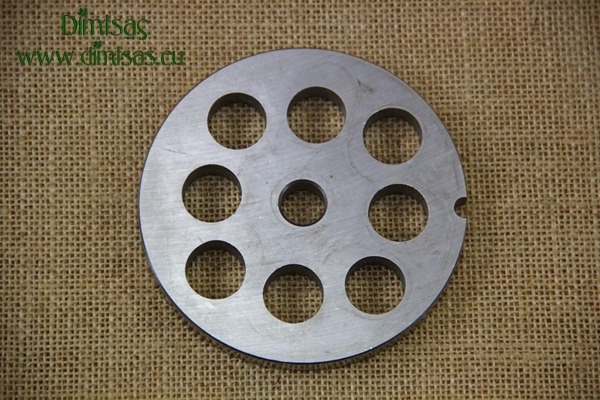 ΤΜ0006, Stainless Steel Spacer Plate for Meat Mincer No22, Made of Stainless Steel, Highly Resistant to Rust & Food Acids, Worm Stabilizer, 2 Holes, Fits to All Meat Mincers No22: Electric or Manual, Suitable for Contact with Food. 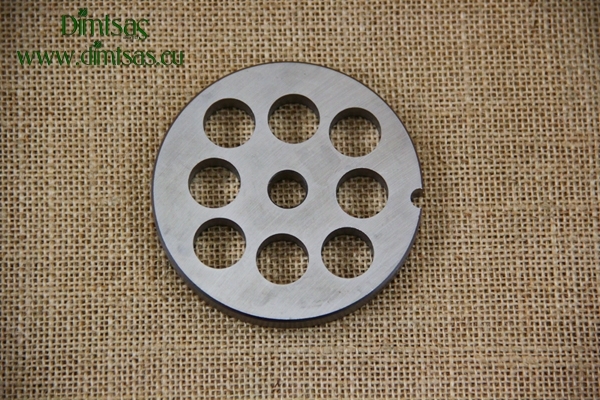 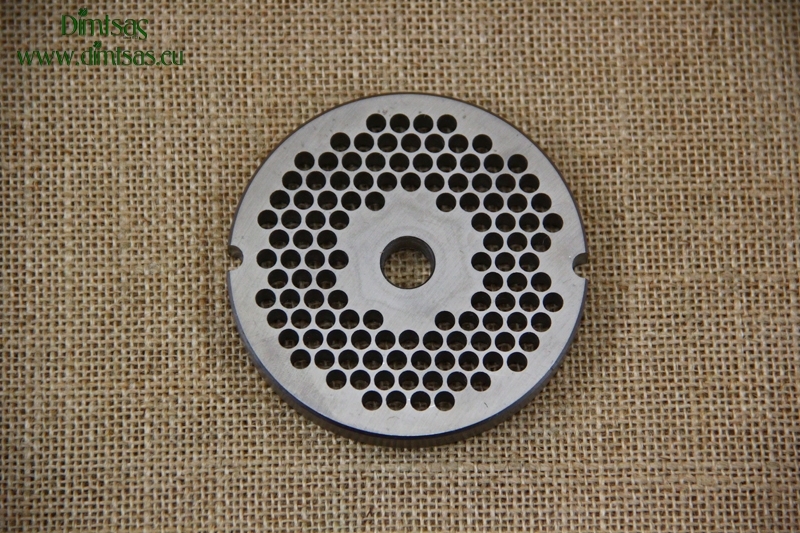 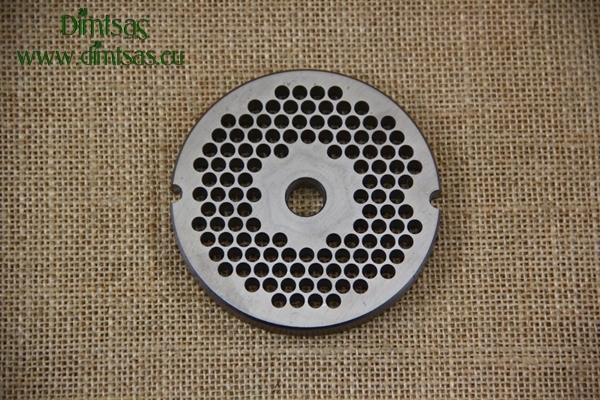 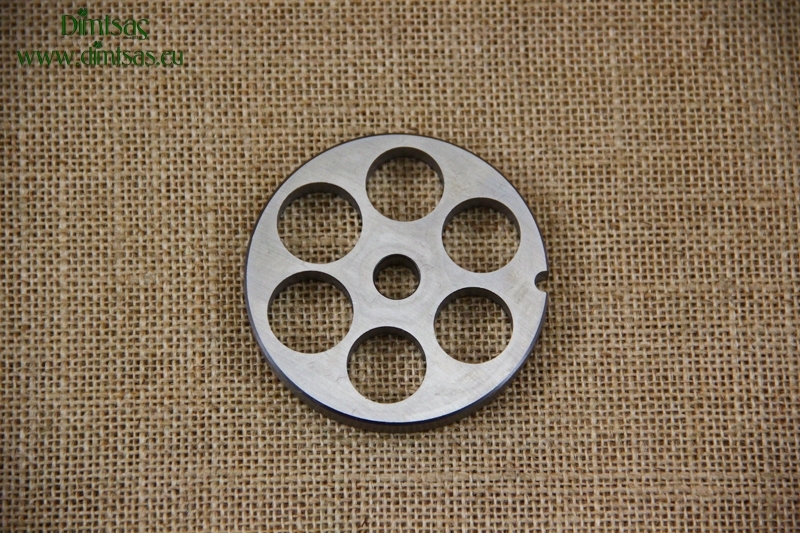 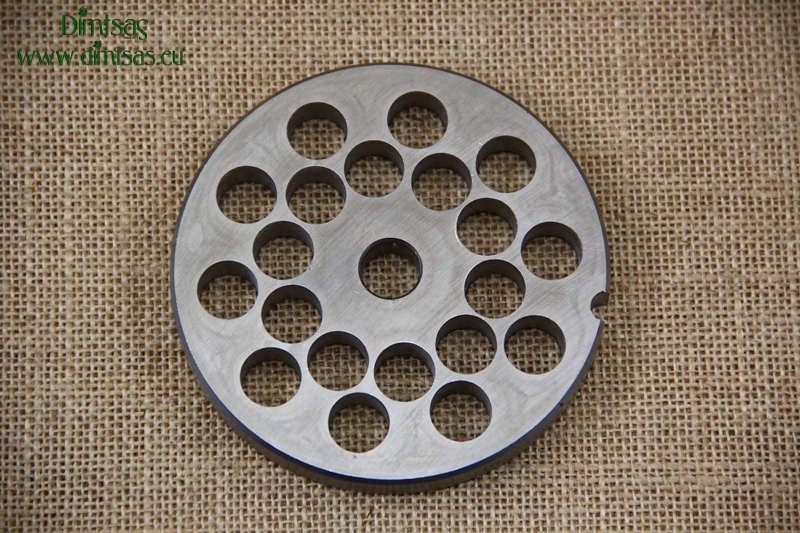 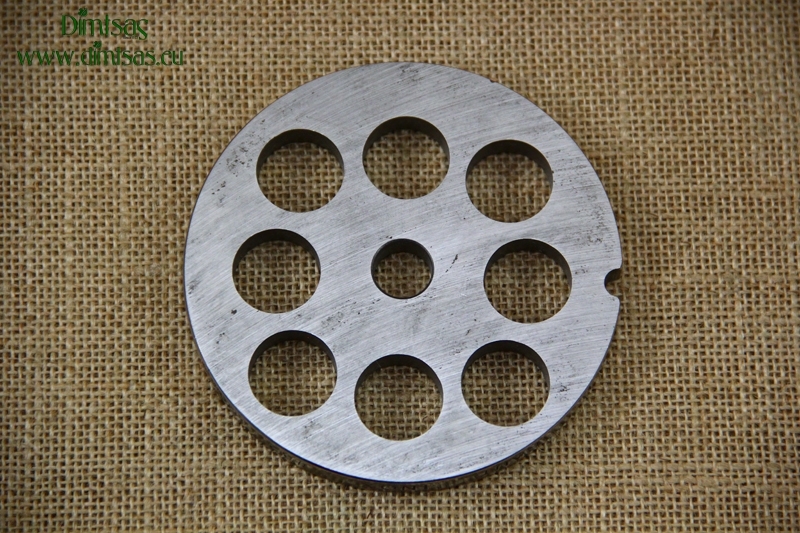 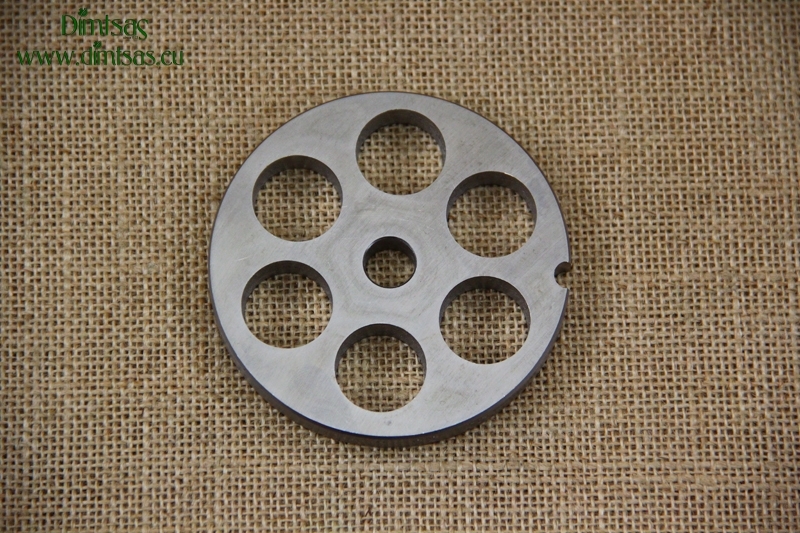 ΤΜ0005, Stainless Steel Spacer Plate for Meat Mincer No10/12, Made of Stainless Steel, Highly Resistant to Rust & Food Acids, Worm Stabilizer, 2 Holes, Fits to All Meat Mincers No10/12: Electric or Manual, Suitable for Contact with Food. 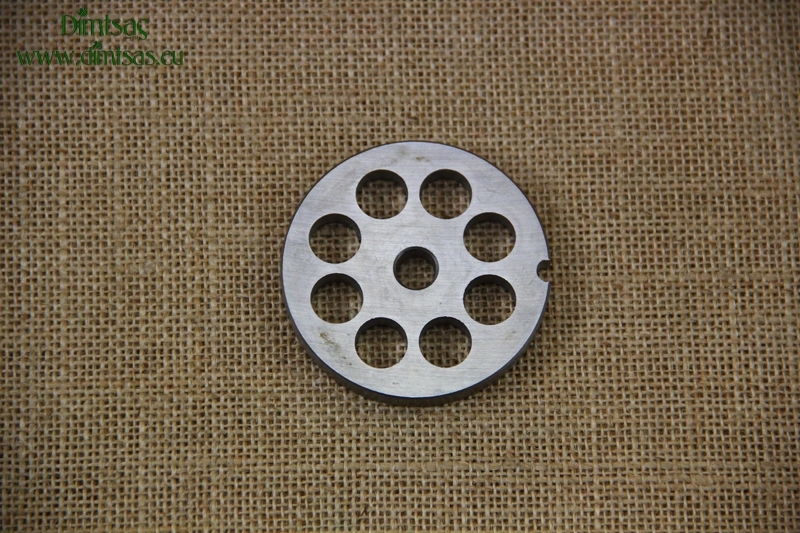 FM0251, Stainless Steel Plate TRIS for Meat Mincer No10/12, Made of Stainless Steel, Highly Resistant to Rust & Food Acids, Holes Diameter 3 mm, Fits to All Meat Mincers No10/12: Electric or Manual, Suitable for Contact with Food. 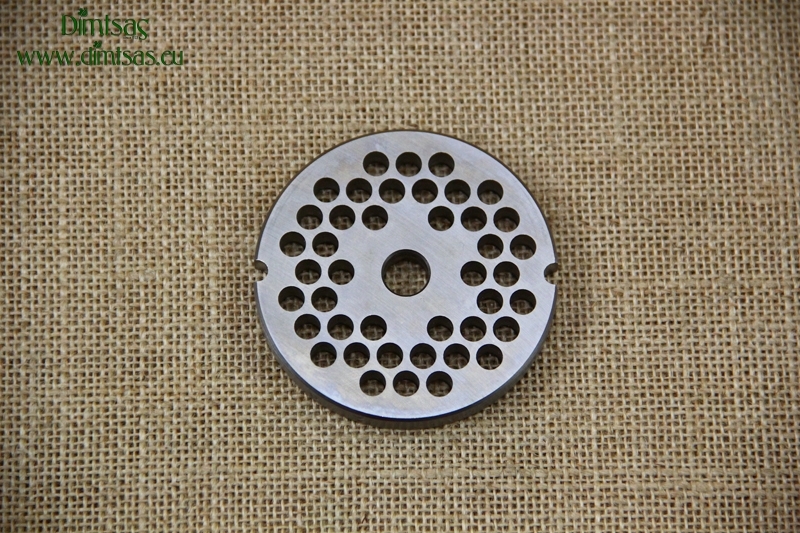 FM0241, Stainless Steel Plate TRIS for Meat Mincer No22, Made of Stainless Steel, Highly Resistant to Rust & Food Acids, Holes Diameter 3 mm, Fits to All Meat Mincers No22: Electric or Manual, Suitable for Contact with Food. 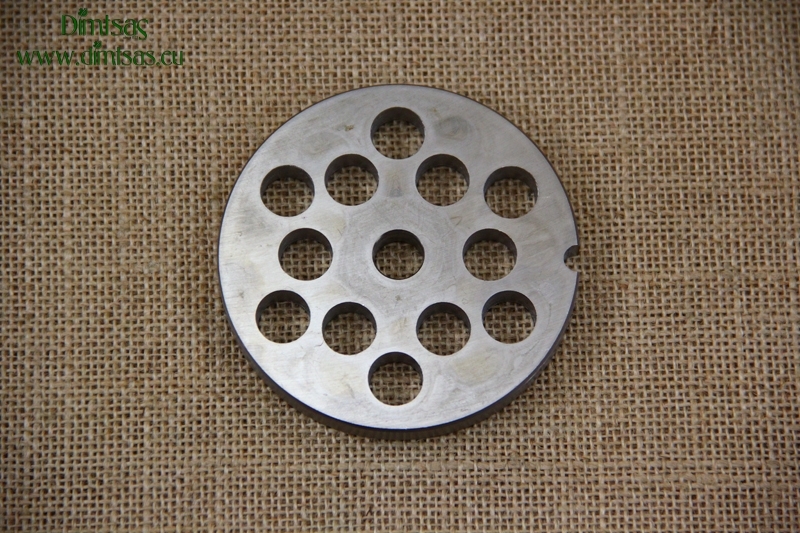 FM0228, Stainless Steel Plate for Meat Mincer No32 20 mm, Made of Stainless Steel, Highly Resistant to Rust & Food Acids, Holes Diameter 20 mm, Fits to All Meat Mincers No32: Electric or Manual, Suitable for Contact with Food. 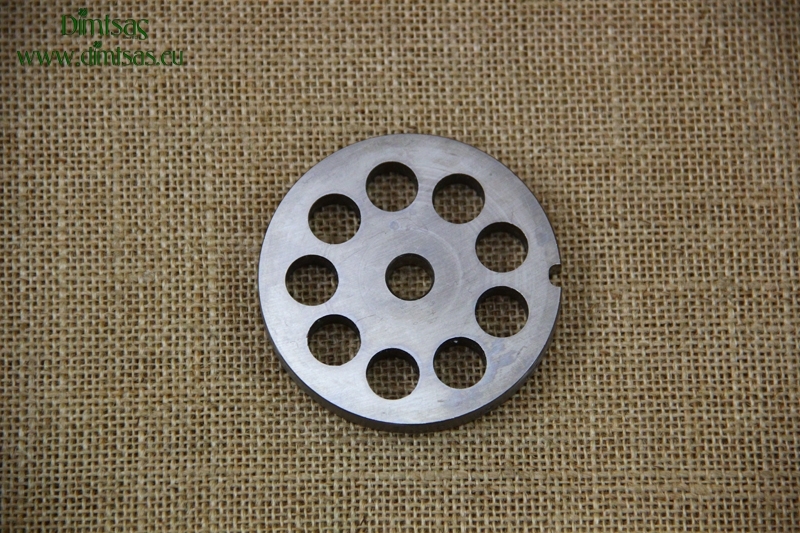 FM0227, Stainless Steel Plate for Meat Mincer No32 18 mm, Made of Stainless Steel, Highly Resistant to Rust & Food Acids, Holes Diameter 18 mm, Fits to All Meat Mincers No32: Electric or Manual, Suitable for Contact with Food. 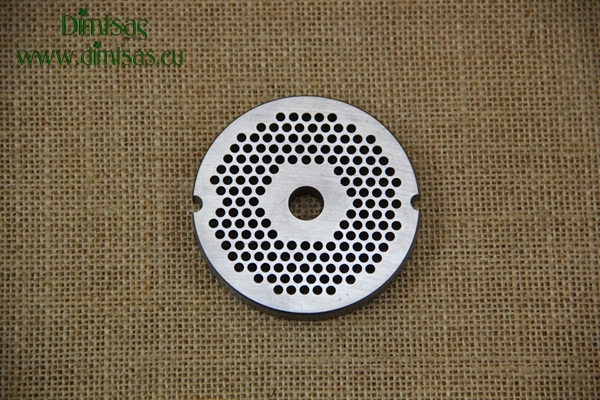 FM0225, Stainless Steel Plate for Meat Mincer No32 14 mm, Made of Stainless Steel, Highly Resistant to Rust & Food Acids, Holes Diameter 14 mm, Fits to All Meat Mincers No32: Electric or Manual, Suitable for Contact with Food. 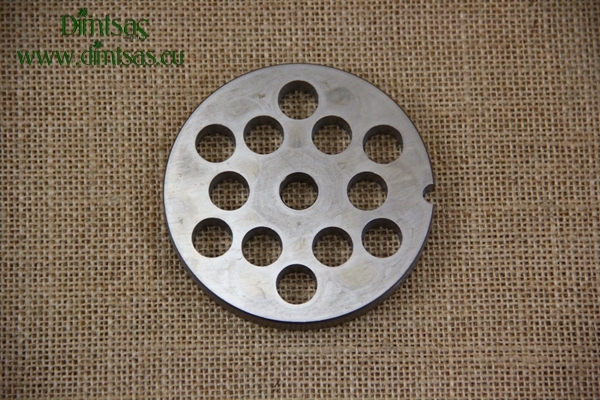 FM0240, Stainless Steel Plate for Meat Mincer No22 20 mm, Made of Stainless Steel, Highly Resistant to Rust & Food Acids, Holes Diameter 20 mm, Fits to All Meat Mincers No22: Electric or Manual, Suitable for Contact with Food. 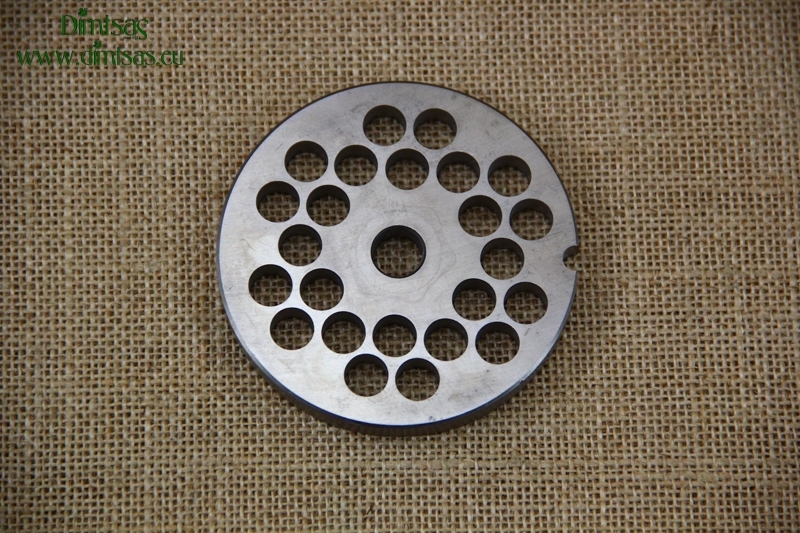 FM0239, Stainless Steel Plate for Meat Mincer No22 18 mm, Made of Stainless Steel, Highly Resistant to Rust & Food Acids, Holes Diameter 18 mm, Fits to All Meat Mincers No22: Electric or Manual, Suitable for Contact with Food. 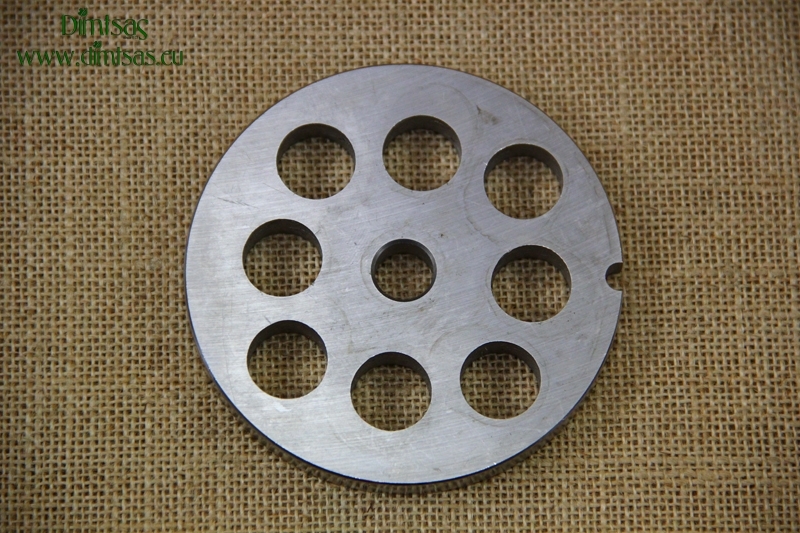 FM0238, Stainless Steel Plate for Meat Mincer No22 16 mm, Made of Stainless Steel, Highly Resistant to Rust & Food Acids, Holes Diameter 16 mm, Fits to All Meat Mincers No22: Electric or Manual, Suitable for Contact with Food. 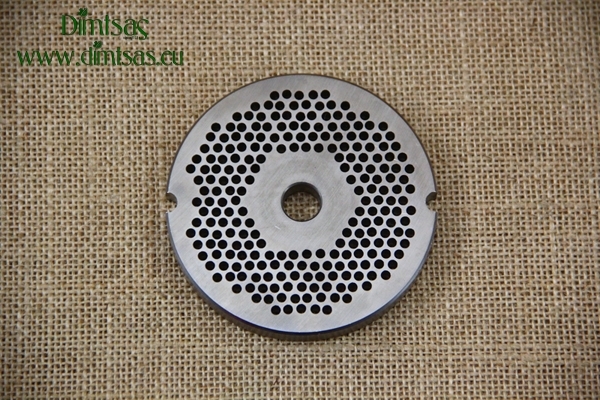 FM0237, Stainless Steel Plate for Meat Mincer No22 14 mm, Made of Stainless Steel, Highly Resistant to Rust & Food Acids, Holes Diameter 14 mm, Fits to All Meat Mincers No22: Electric or Manual, Suitable for Contact with Food. 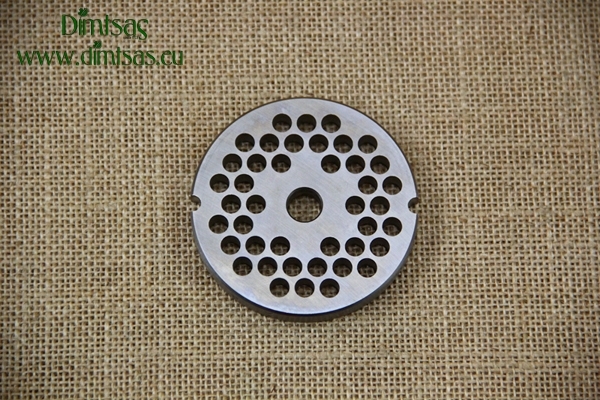 FM0236, Stainless Steel Plate for Meat Mincer No22 12 mm, Made of Stainless Steel, Highly Resistant to Rust & Food Acids, Holes Diameter 12 mm, Fits to All Meat Mincers No22: Electric or Manual, Suitable for Contact with Food. 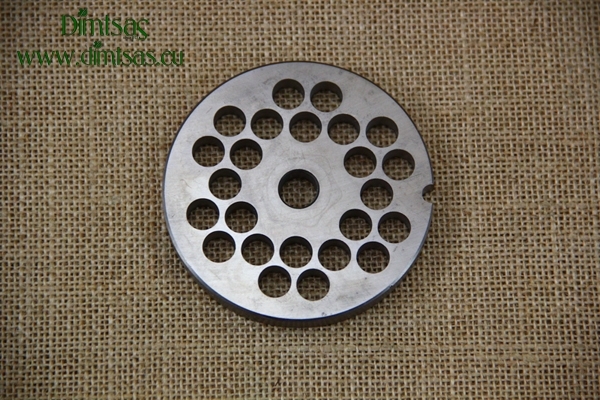 FM0235, Stainless Steel Plate for Meat Mincer No22 10 mm, Made of Stainless Steel, Highly Resistant to Rust & Food Acids, Holes Diameter 10 mm, Fits to All Meat Mincers No22: Electric or Manual, Suitable for Contact with Food. 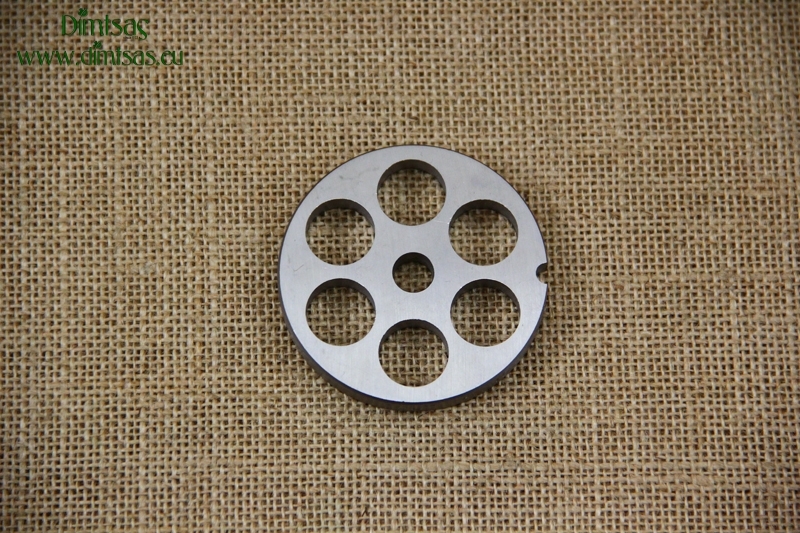 The Stainless Steel Plate for Meat Mincer No22 8 mm is suitable for all Manual and Electrical Meat Mincer No22. 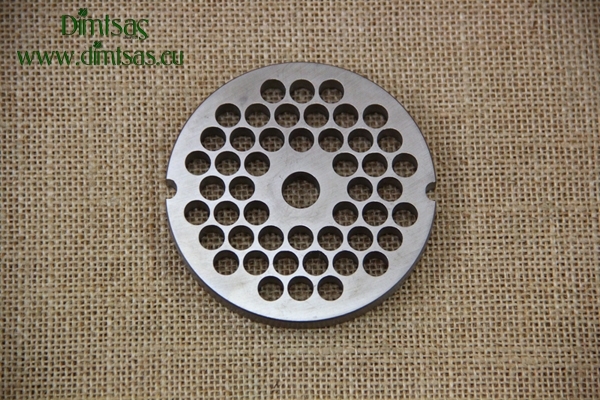 FM0233, Stainless Steel Plate for Meat Mincer No22 6 mm, Made of Stainless Steel, Highly Resistant to Rust & Food Acids, Holes Diameter 6 mm, Fits to All Meat Mincers No22: Electric or Manual, Suitable for Contact with Food. 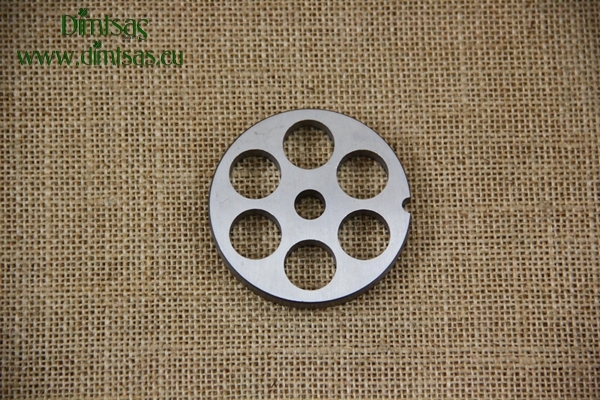 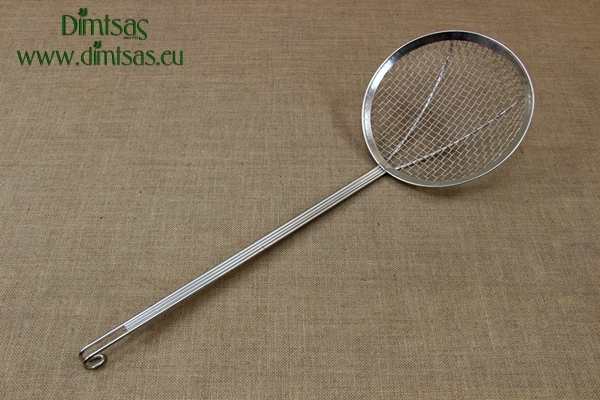 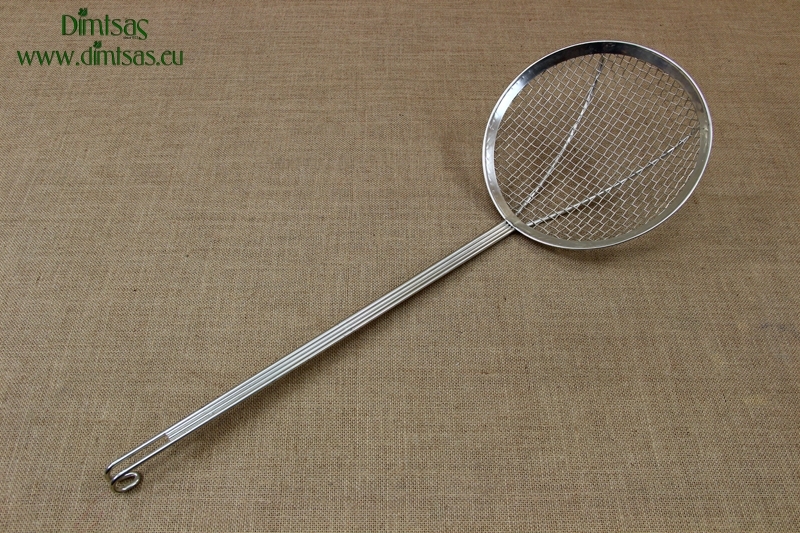 FM0232, Stainless Steel Plate for Meat Mincer No22 4.5 mm, Made of Stainless Steel, Highly Resistant to Rust & Food Acids, Holes Diameter 4.5 mm, Fits to All Meat Mincers No22: Electric or Manual, Suitable for Contact with Food. 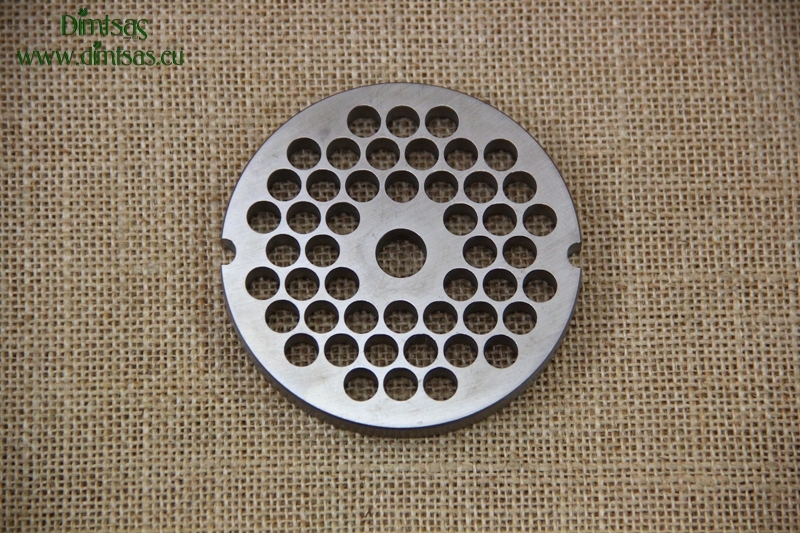 FM0231, Stainless Steel Plate for Meat Mincer No22 3 mm, Made of Stainless Steel, Highly Resistant to Rust & Food Acids, Holes Diameter 3 mm, Fits to All Meat Mincers No22: Electric or Manual, Suitable for Contact with Food. 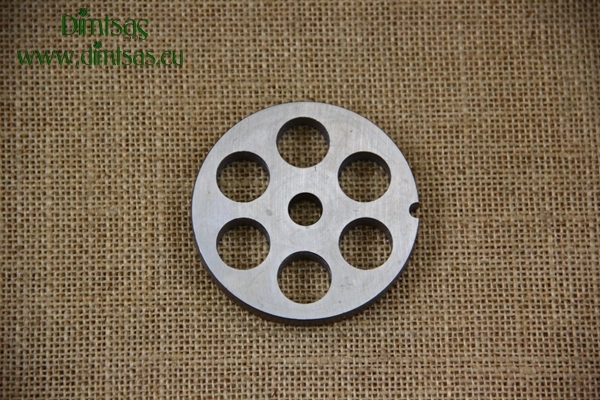 FM0250, Stainless Steel Plate for Meat Mincer No10/12 20 mm, Made of Stainless Steel, Highly Resistant to Rust & Food Acids, Holes Diameter 20 mm, Fits to All Meat Mincers No10/12: Electric or Manual, Suitable for Contact with Food. 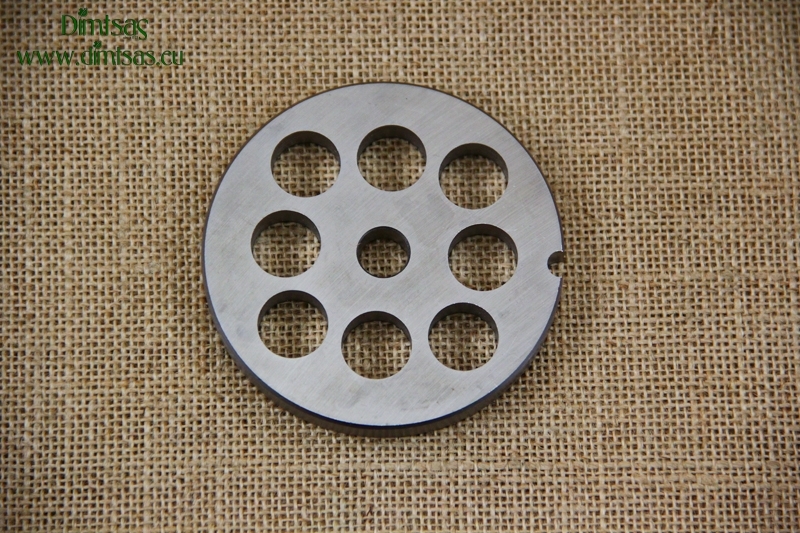 FM0249, Stainless Steel Plate for Meat Mincer No10/12 18 mm, Made of Stainless Steel, Highly Resistant to Rust & Food Acids, Holes Diameter 18 mm, Fits to All Meat Mincers No10/12: Electric or Manual, Suitable for Contact with Food. 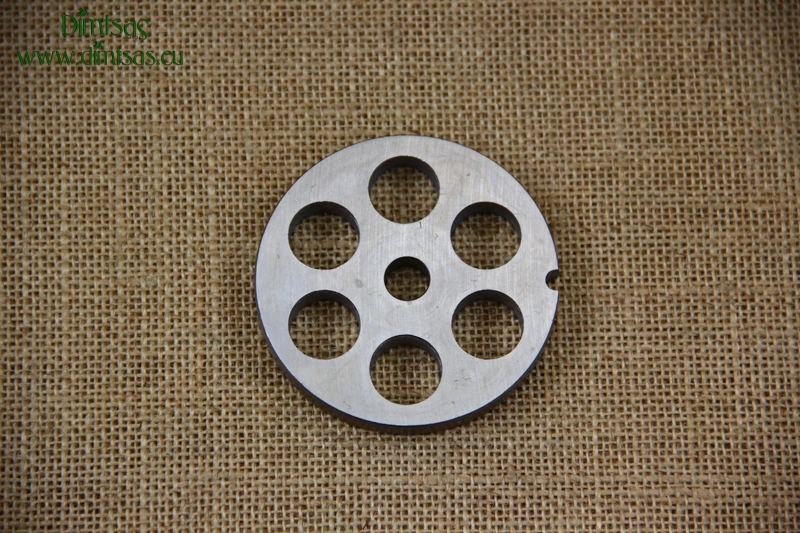 FM0248, Stainless Steel Plate for Meat Mincer No10/12 16 mm, Made of Stainless Steel, Highly Resistant to Rust & Food Acids, Holes Diameter 16 mm, Fits to All Meat Mincers No10/12: Electric or Manual, Suitable for Contact with Food. 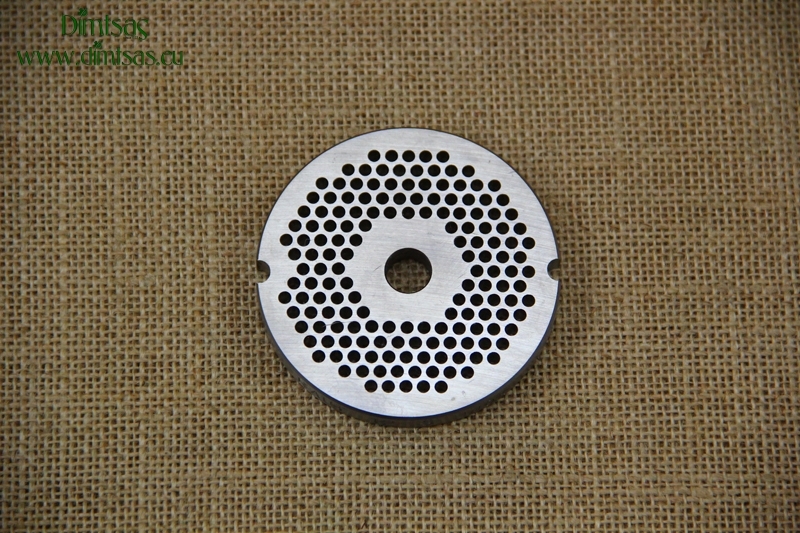 FM0247, Stainless Steel Plate for Meat Mincer No10/12 14 mm, Made of Stainless Steel, Highly Resistant to Rust & Food Acids, Holes Diameter 14 mm, Fits to All Meat Mincers No10/12: Electric or Manual, Suitable for Contact with Food. 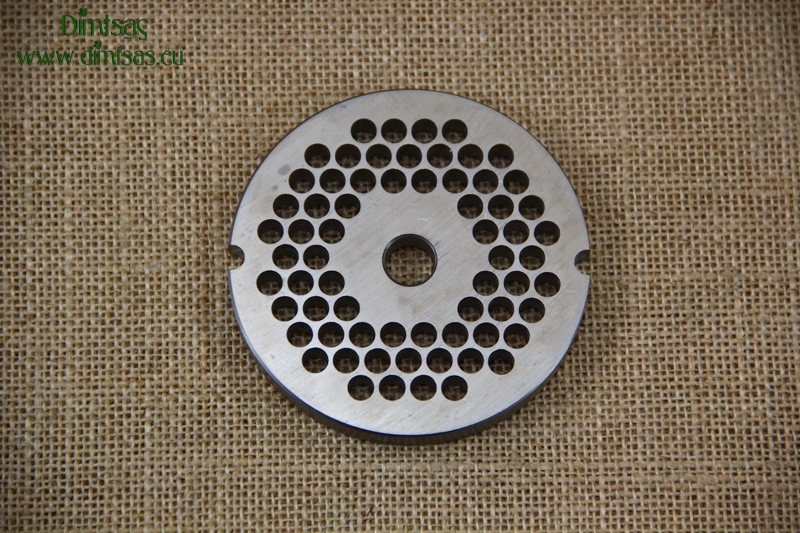 FM0243, Stainless Steel Plate for Meat Mincer No10/12 6 mm, Made of Stainless Steel, Highly Resistant to Rust & Food Acids, Holes Diameter 6 mm, Fits to All Meat Mincers No10/12: Electric or Manual, Suitable for Contact with Food. 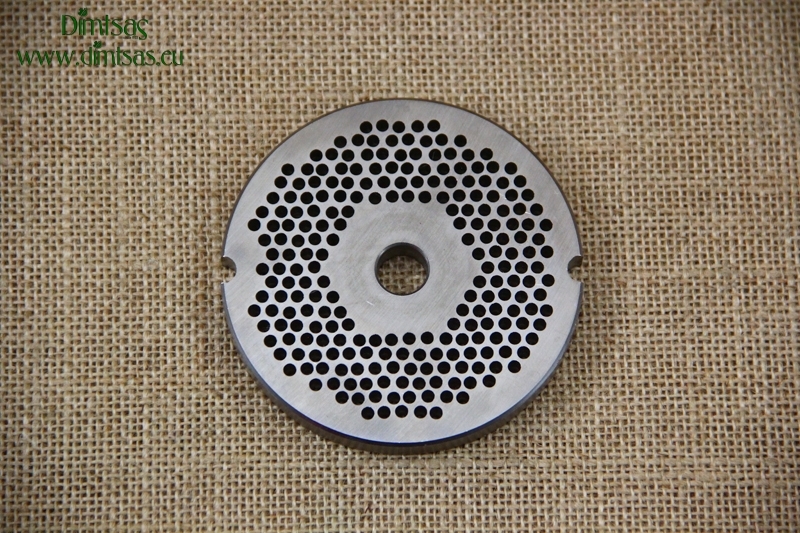 FM0242, Stainless Steel Plate for Meat Mincer No10/12 3 mm, Made of Stainless Steel, Highly Resistant to Rust & Food Acids, Holes Diameter 3 mm, Fits to All Meat Mincers No10/12: Electric or Manual, Suitable for Contact with Food. 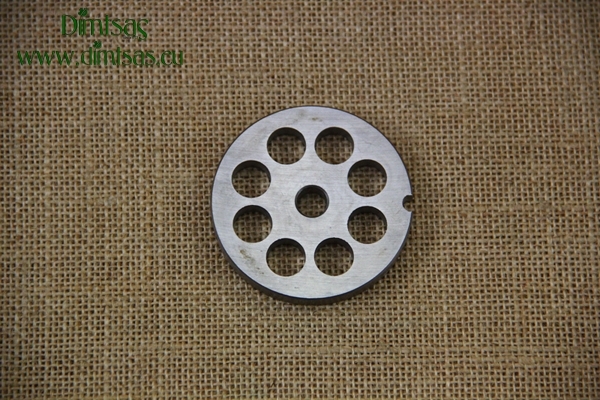 FM0258, Stainless Steel Plate for Meat Mincer No8 12 mm, Made of Stainless Steel, Highly Resistant to Rust & Food Acids, Holes Diameter 12 mm, Fits to All Meat Mincers No8: Electric or Manual, Suitable for Contact with Food. 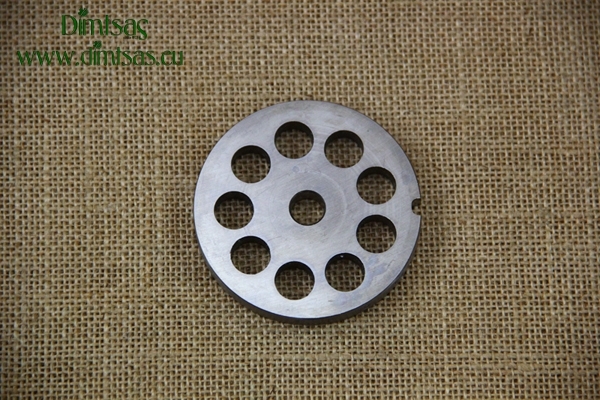 FM0256, Stainless Steel Plate for Meat Mincer No8 12 mm, Made of Stainless Steel, Highly Resistant to Rust & Food Acids, Holes Diameter 12 mm, Fits to All Meat Mincers No8: Electric or Manual, Suitable for Contact with Food. 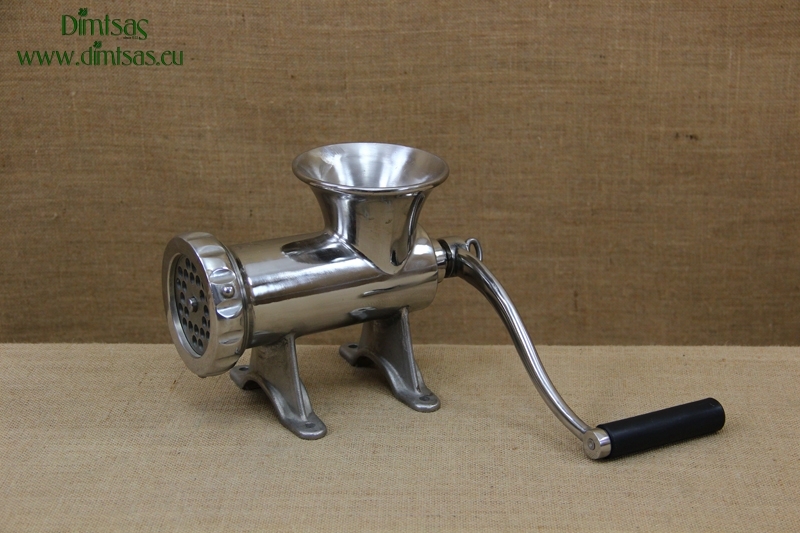 FM0275, Stainless Steel Knife for Meat Mincer No20/22, INOX, Self-Sharpening, Highly Resistant to Rust & Food Acids, Fits to All Meat Mincers No20 and No22: Electric or Manual, Suitable for Contact with Food. 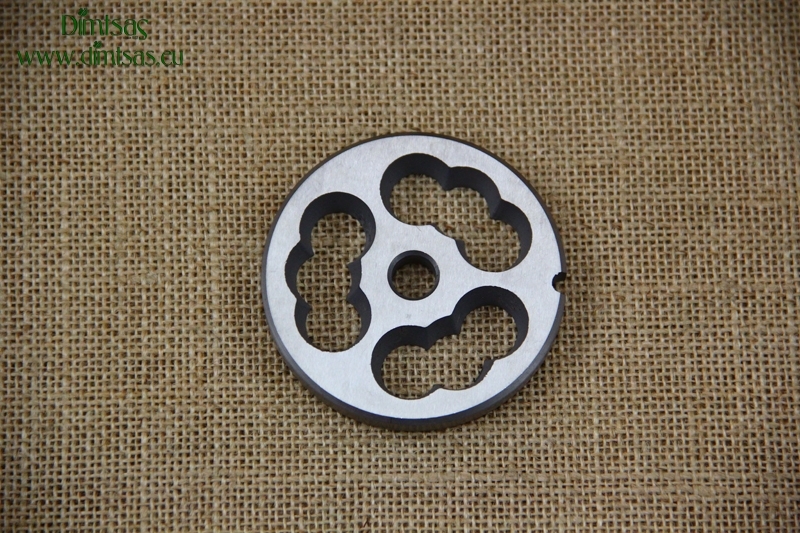 RI0180, Plastic Cookie Maker, Excellent Quality, Made of Polypropylene, Appropriate for Contact with Food, Perfect for various shapes of Cookies, Biscuits or Bread Sticks.